Which are the most interesting points of interest to visit in the UK? 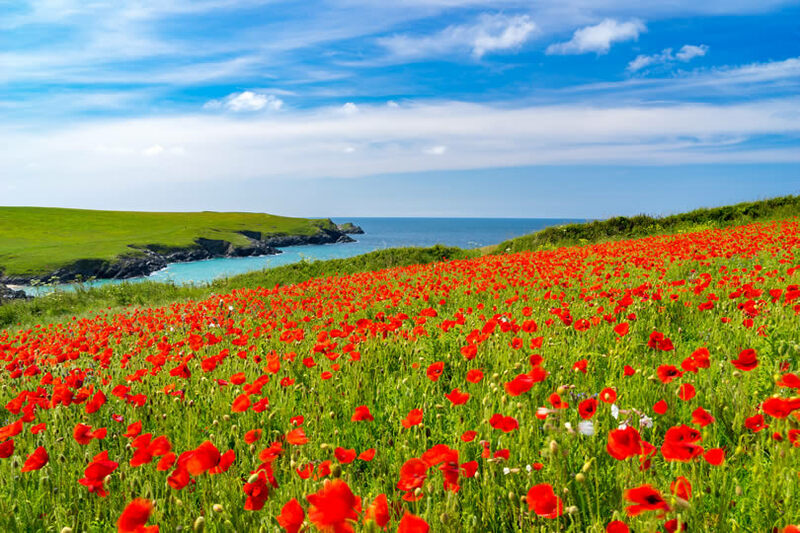 We have the Ultimate List of the Top 80 most beautiful landscapes, best places to see and national parks in England, Northern Ireland, Scotland and Wales. 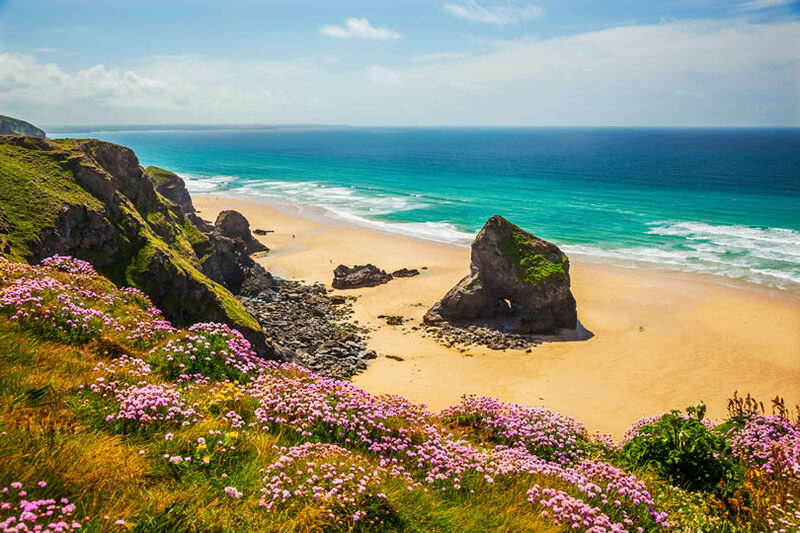 With landscapes that encompass over 300 miles of coastline, dramatic cliffs, beautiful beaches, medieval harbours and wild stretches of moors, Cornwall really is a destination that appeals to everybody. Cornwall produces wild waves that attract surfers from around the world or simply enjoy a gentle stroll along its clifftops and country lanes before dining on fine local produce. Places of interest you shouldn’t miss include the lovely town of St Ives, the Eden Project, Newquay Zoo, Land’s End and St Michael’s Mount. Full of legends and history that go back into the mists of time, St Michael’s Mount provides a great day out for the whole family. 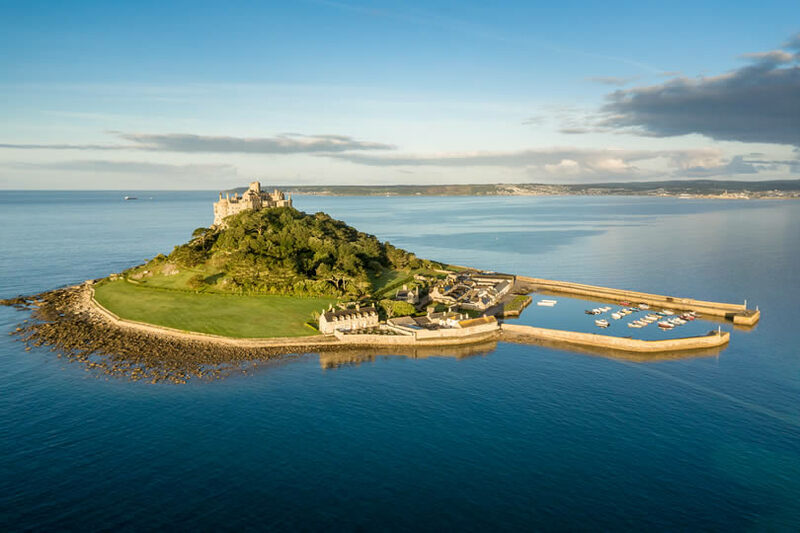 Brave the causeway or arrive by boat and explore its medieval history on ancient pathways or in the rooms of the castle that sits proudly at the top of the mount. After lunch, spend a relaxing couple of hours strolling in the subtropical gardens that spill down the mountainside below the castle. The White Cliffs of Dover are an iconic part of the UK landscape, visible from miles out to sea. They offer spectacular views and abundant wildlife as you walk clifftop trails or explore the interesting and interactive visitor centre. Enjoy coastal views in summer or take a bracing winter walk watching the waves as they crash against the rocks below. This is a perfect holiday spot in England, whether you’re travelling as couples or with a family. Stay overnight close to the ferry port or in the town centre. Despite the many theories put forward, no one is still quite sure why Stonehenge exists. 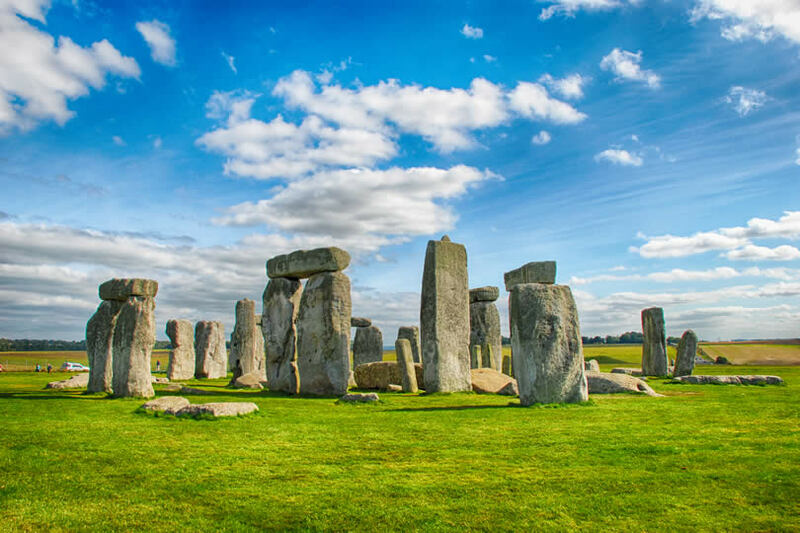 It has certainly been a part of the English landscape since Neolithic times and is Europe’s best-known and most visited prehistoric monument. A new interactive visitor centre takes you back to the world of our ancestors where you can step inside replicas of their homes and explore how they lived their everyday lives. After the visitor centre, head to the awe-inspiring atmosphere of the stones themselves. 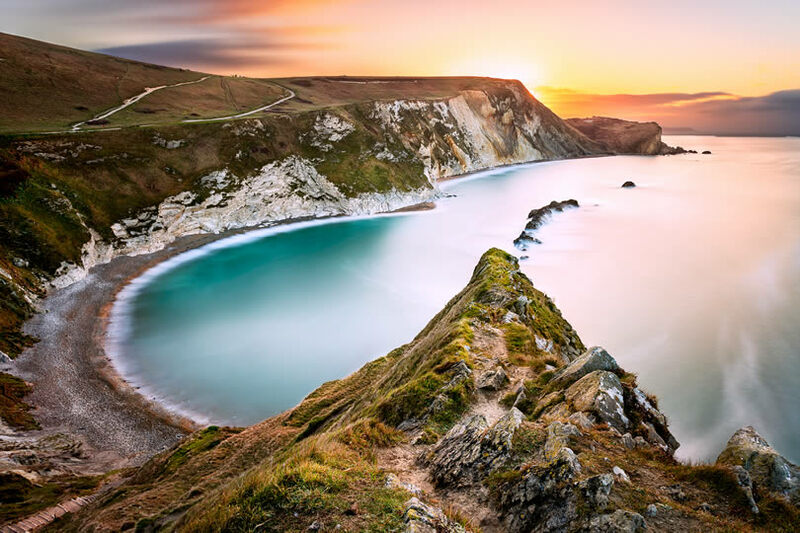 The Isle of Wight is a holiday destination within easy reach of London. As well as pretty beaches and countryside you’ll find a long list of family-friendly and historic attractions. Walk in the footsteps of Queen Victoria when you take Victoria’s Island Trail or marvel at the magnificent Durbar Room in Osborne House, one of Queen Victoria’s favourite homes. And, as the dinosaur capital of Great Britain, everyone can have fun looking for fossils. 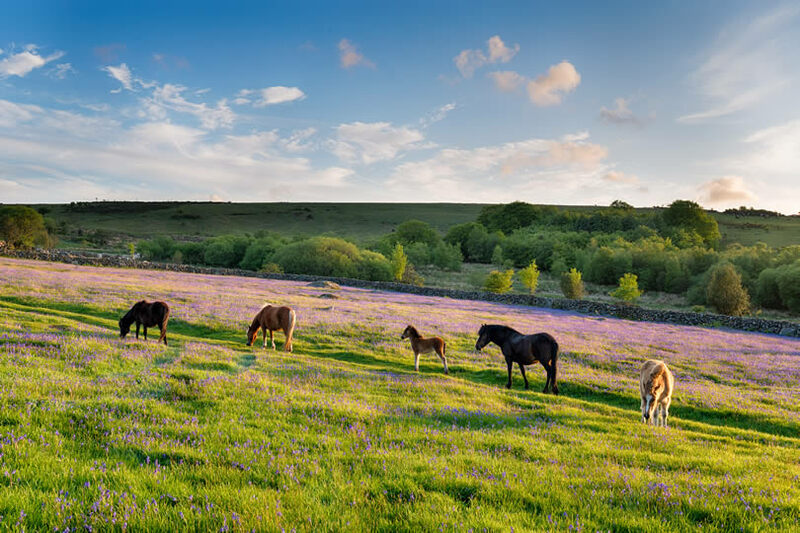 Dartmoor National Park is not just for recreation, it is a living and working outdoor landscape where visitors can see moorland farming in action while exploring pretty villages and market towns. It is also an area full of surviving archaeological evidence of England’s past. It was farmed in the Bronze Age and mined during the medieval and Victorian periods while you are never far away from burial mounds, monuments or the remains of a hill fort. 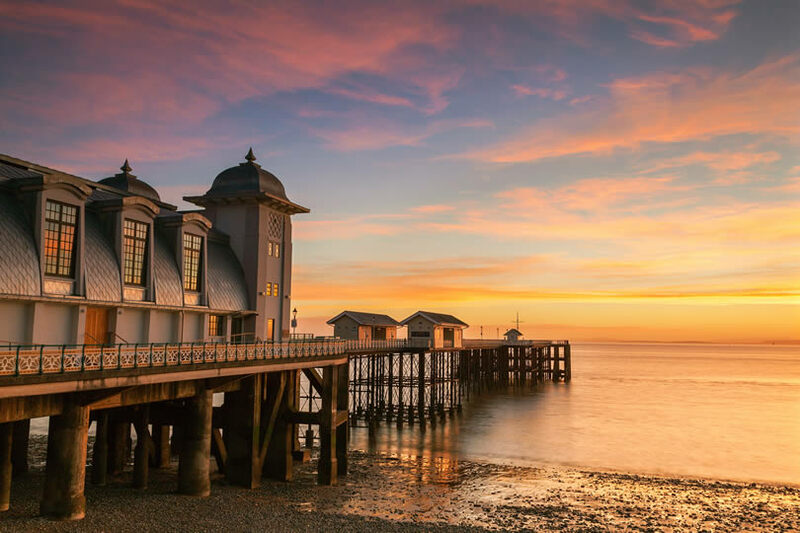 While northern England and its coastline have some stunning tourist spots, southern England doesn’t disappoint as a holiday destination. 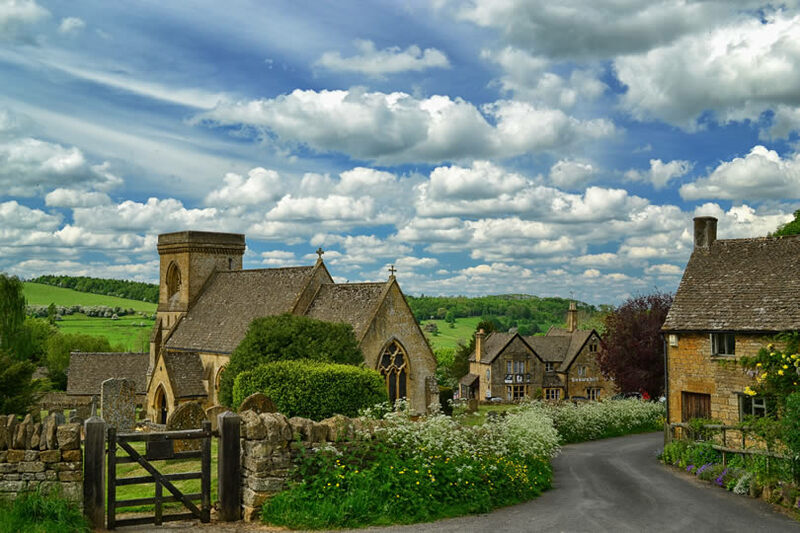 If you’re looking for pretty villages made of mellow stone, winding country roads and picturesque farmland, then make the Cotswolds your next holiday spot. Work your way across this stretch of limestone landscape from the glorious city of Bath to Shakespeare’s Stratford, calling in on attractions like the Cotswolds Wildlife Park and the magnificent Blenheim Palace. 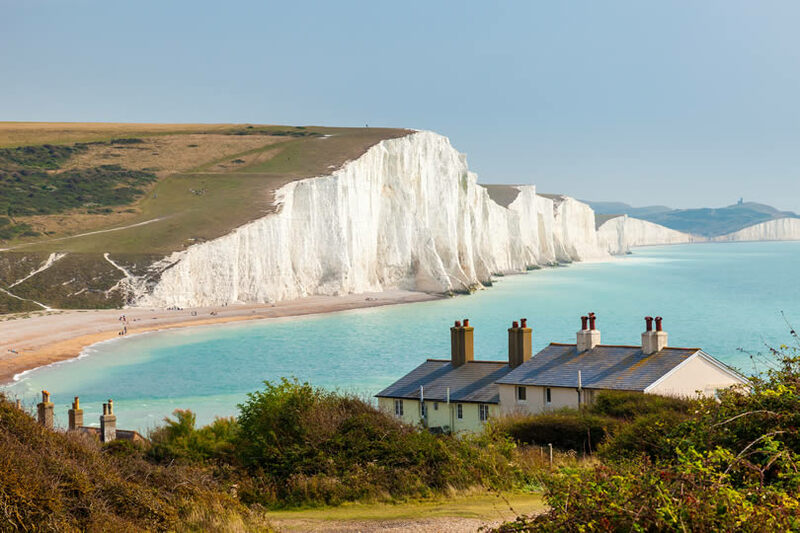 The Seven Sisters cliffs, rolling farmland, colourful heaths and flourishing vineyards are all on the list of attractions that draw visitors to the South Downs National Park. The area is full of protected archaeological and historic sites from Bronze Age barrows to World War II pill-boxes while with its long history of settlement much more waits to be discovered. As you meander through the scenery you’ll pass a domestic landscape of timber-framed Tudor houses and pretty flint cottages. Inhabited since Mesolithic times, Exmoor was designated one of England’s national parks in 1954 preserving its unique landscape for us all to enjoy. It’s a blend of moorland, valleys and woods bordered by a stretch of wild coastline. 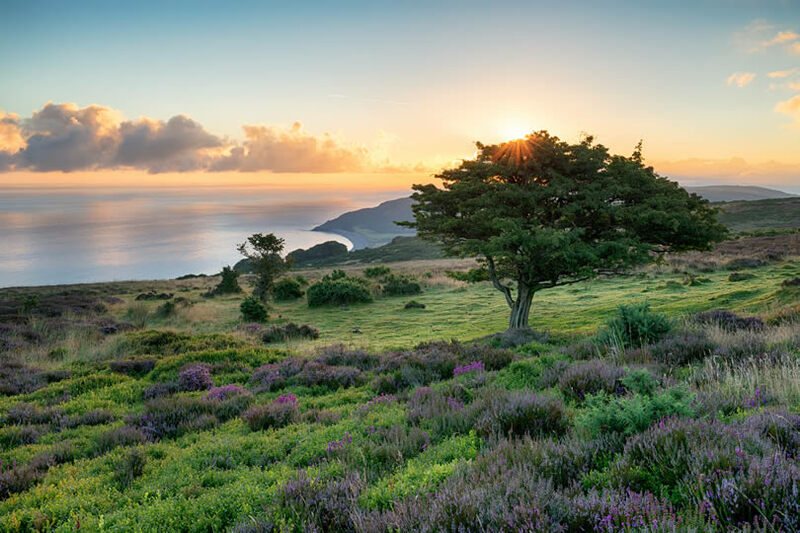 Exmoor National Park is home to steep coastal hills including the highest sheer sea cliff in England and Wales, the Grand Hangman. Look out for Exmoor ponies grazing the moorland as well as majestic red deer. Since William the Conqueror created it as his own private hunting ground, the New Forest has barely changed. 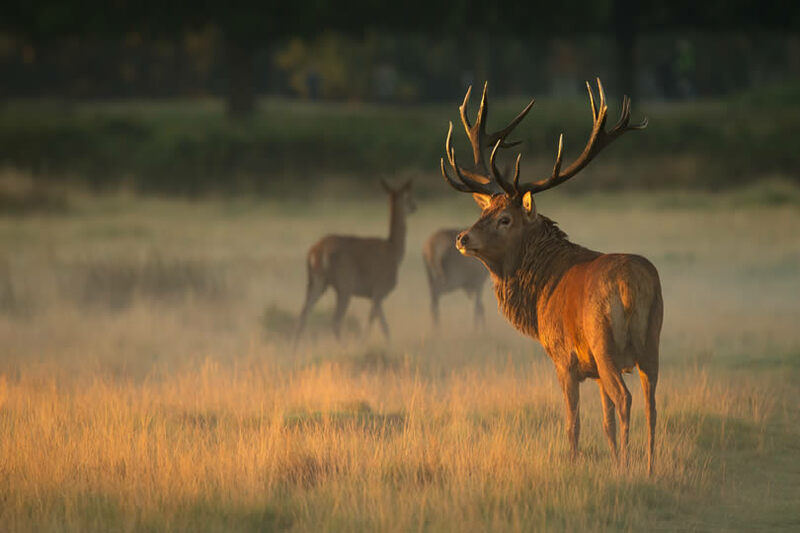 Today deer and ponies still roam the New Forest National Park and it is the perfect place for cycling, hiking and horseback riding. Visit the New Forest Centre at Lyndhurst or let the kids have fun flying kites on Whitefield Moor before visiting Buckler’s Hard to find out what life was like in an 18th-century shipbuilding village. 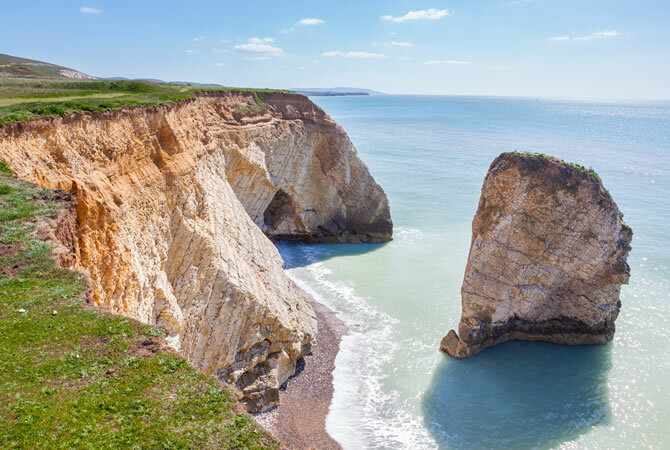 If anyone in your family is fascinated by dinosaurs and fossils, then the Jurrasic Coast is one of England’s must-go destinations. Stretching along the Dorset coastline, it really is a walk back through time. The unstable cliffs constantly reveal new surprises and almost any walk along the beach reveals a new fossil for your collection. Pop into the pretty town of Lyme Regis where museums reveal more about dinosaur life. Richmond Park London was another royal hunting ground, leading to the remarkable preservation of this urban park where herds of wild deer still live happily. Cycle or walk through the park looking out for its flora and fauna before enjoying a distant view of St Paul’s Cathedral from King Henry’s Mound. Visit Isabella Plantation, a pretty woodland garden before enjoying coffee or lunch in Pembroke Lodge. 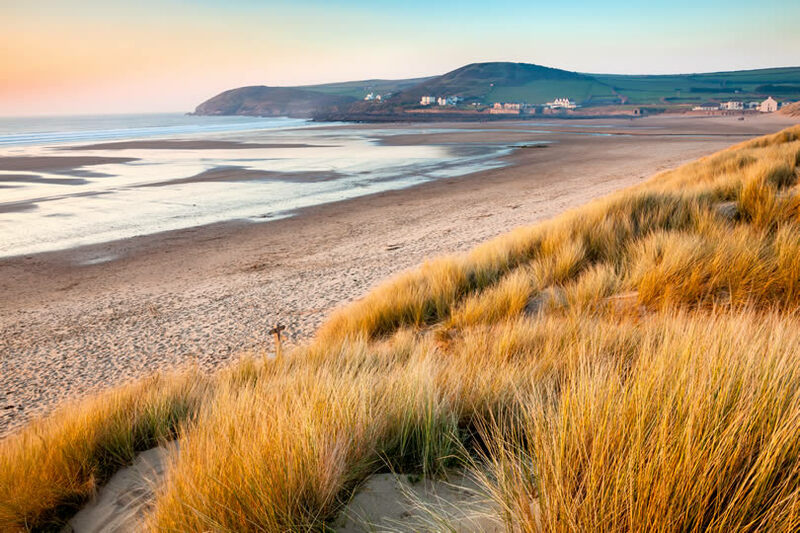 North Devon is full of family attractions as well as stretches of sandy beaches and countryside to explore. 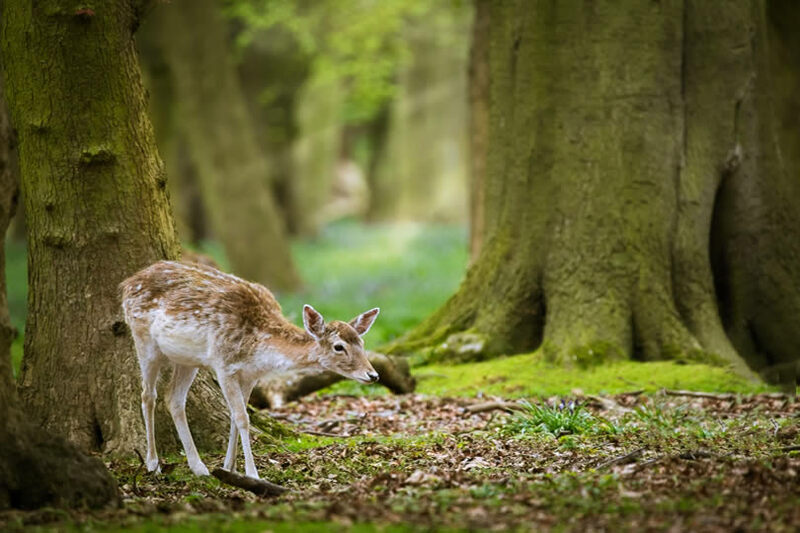 Kids always enjoy the North Devon Wake and the Milky Way Adventure Parks while the Exmoor Zoological Park at Barnstaple lets you get up close to wild animals. The Gnome Reserve is full of tongue-in-cheek fun and while there, be sure to finish your visit with a Devon cream tea. Whether you’re staying on Lundy Island or visiting for the day you’ll find a tranquil landscape where the stresses of everyday life seem far away. 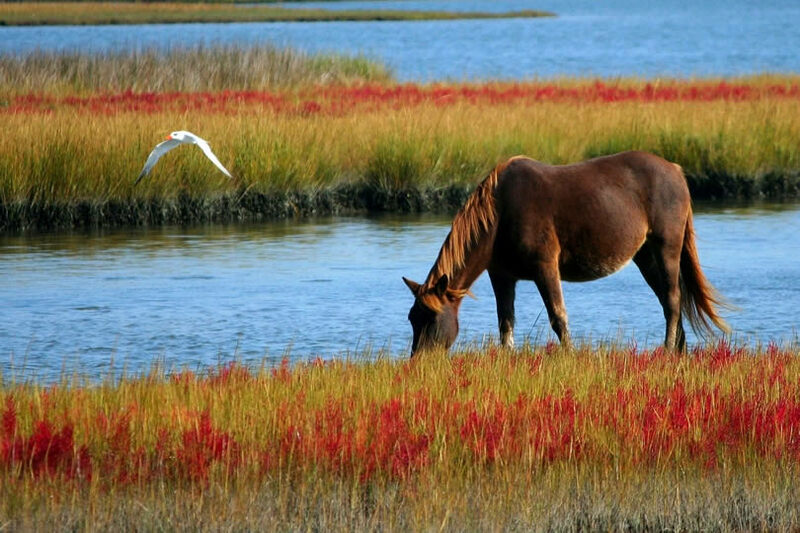 There are no roads or cars so simply enjoy its wide open spaces and mild climate. More energetic visitors can enjoy rock climbing and scuba diving. When the sun sets, it’s the perfect destination for a spot of stargazing. 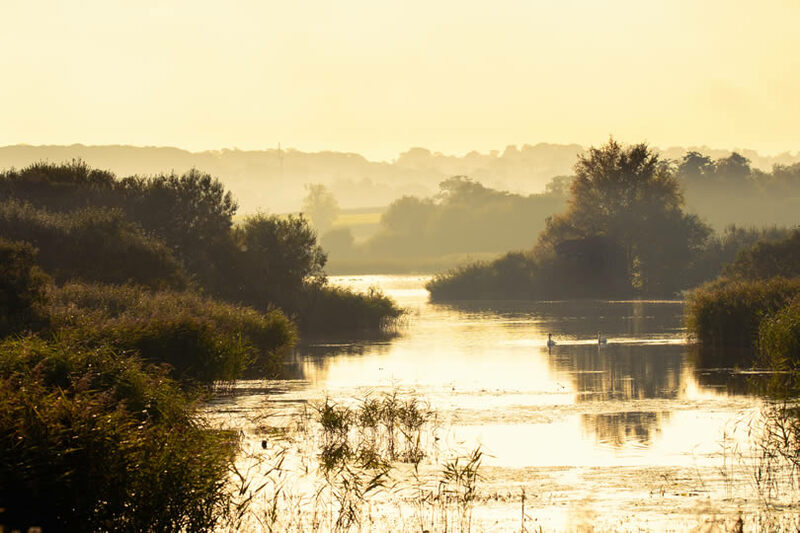 This nature reserve is part of the Somerset Levels and is an area rich in history. Its wildlife includes shy bitterns, playful otters and migratory birds. Once inhabited by Neolithic people, the landscape was covered with wooden trackways. Some are still preserved beneath a surface layer of peat. The Sweet Track takes you on a walk along a replica trackway. The Avalon Marshes, full of history and wildlife, lie at the heart of the Somerset Levels. The waterways, ditches and rhynes that cross the marshes contribute to the magical atmosphere of the area especially when the early morning mist rises off the land. At the heart of the marshes stands the mystical Glastonbury Tor. The area is a paradise for bird watchers and the perfect place for a relaxing cycling or walking holiday. St Mary’s, Tresco and the other three inhabited islands of The Isles of Scilly welcome their visitors to a simple way of life while boat trips to the group’s uninhabited islands really take you on a peaceful wildlife adventure. 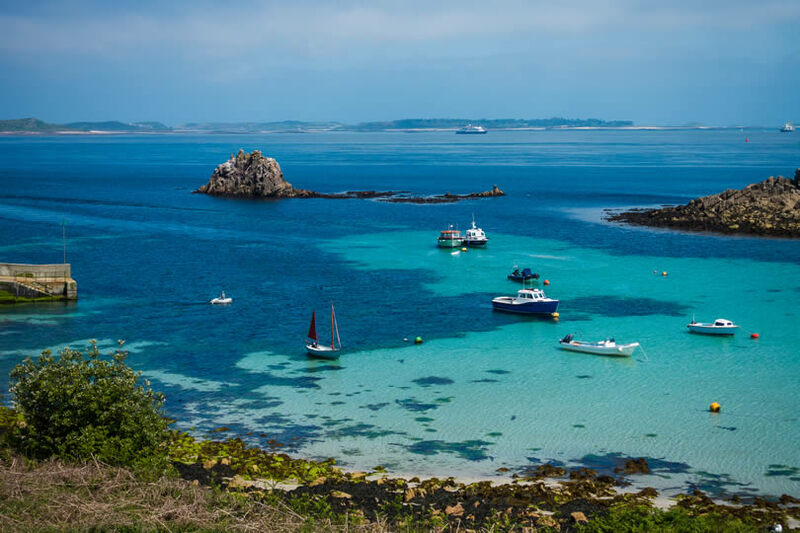 Each island has its own distinct character and landscape, rich in archaeological history and legends while the sandy beaches make The Isles of Scilly a delightful family destination. Once you’re immersed in the heart of the Chiltern Hills it’s hard to believe that London is just a short drive away. Hike through country lanes stopping off to explore market towns and villages or have fun with your children exploring the fascinating miniature world laid out at the Bekonscot Model Village. Taking a steam train ride from the Didcot Railway Centre gives you a different perspective on this idyllic spot. 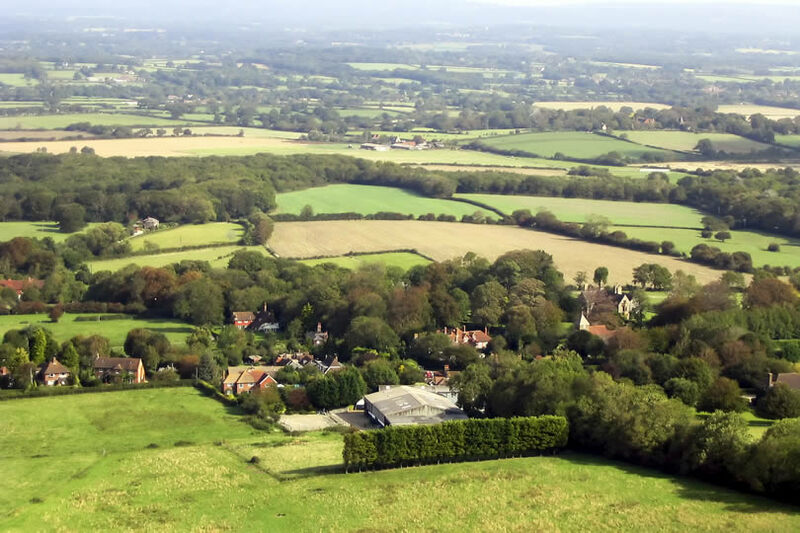 The High Weald was designated an Area of Outstanding Natural Beauty for its landscape of rolling hills, inland water, woods, ancient pathways, and sandstone outcrops all dotted with isolated farms. 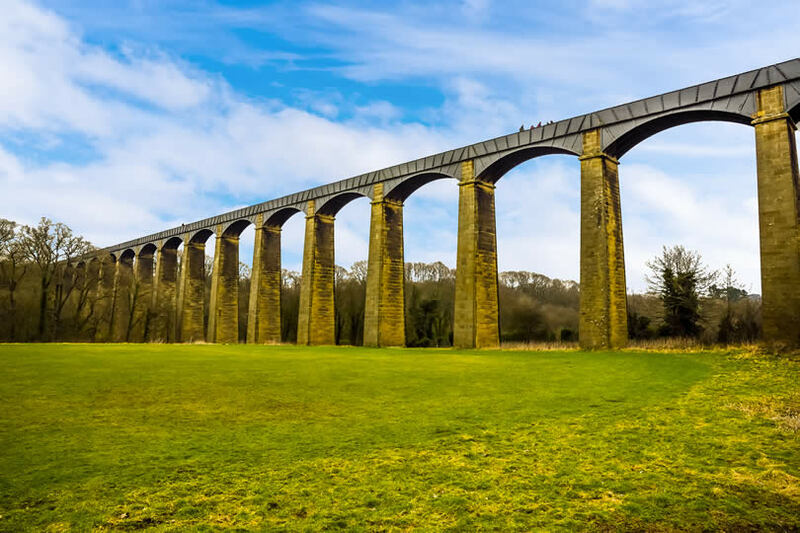 This huge area spreads across parts of Kent, Surrey and Sussex and as well as outdoor activities, you will also find a wealth of castles, manor houses, landscaped gardens and no less than three steam railways. Another Area of Outstanding Natural Beauty is the Kent Downs. 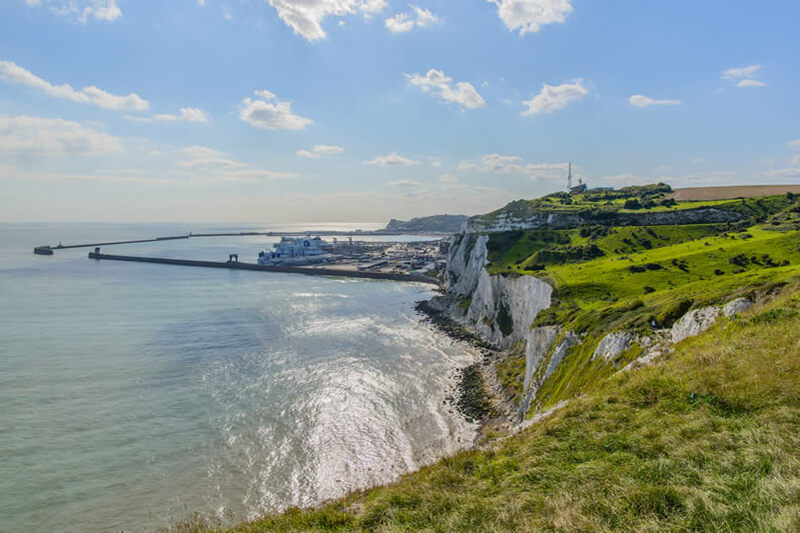 Your visit here will take in interesting destinations from the White Cliffs of Dover and dramatic shorelines to pretty market towns like Westerham and the nature reserves of Queendown Warren, Ranscombe Farm and Park Gate Down. The Kent Downs is crossed by the North Downs Way which stretches for over 150 miles from Farnham to Dover passing through the historic city of Canterbury. Formed of limestone, the slopes and plateau of the Mendip Hills sit overlooking the beautiful lakes of the Chew Valley. The Mendip Hills are punctuated with rocky outcrops and gorges while on the plateau you will find evidence of hundreds of ancient monuments. Everywhere you look is rich with wildlife and flora. 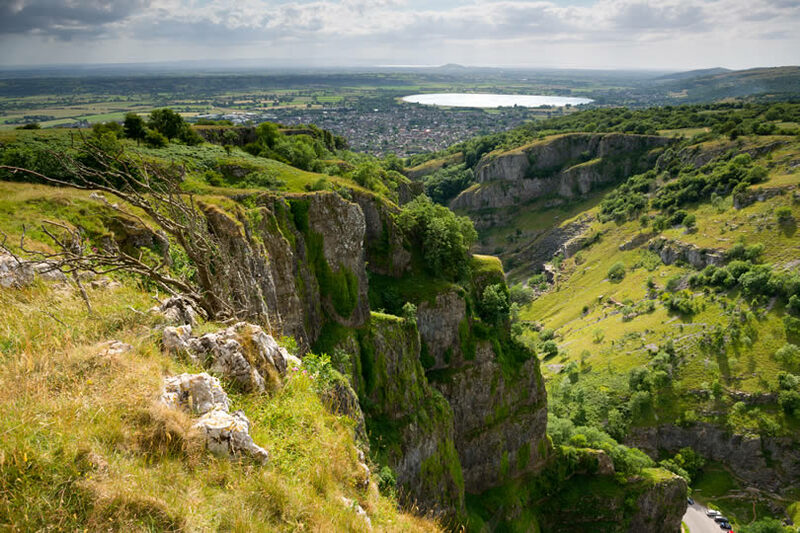 Any visit must include the dramatic caves and clifftop walks of the famous Cheddar Gorge. 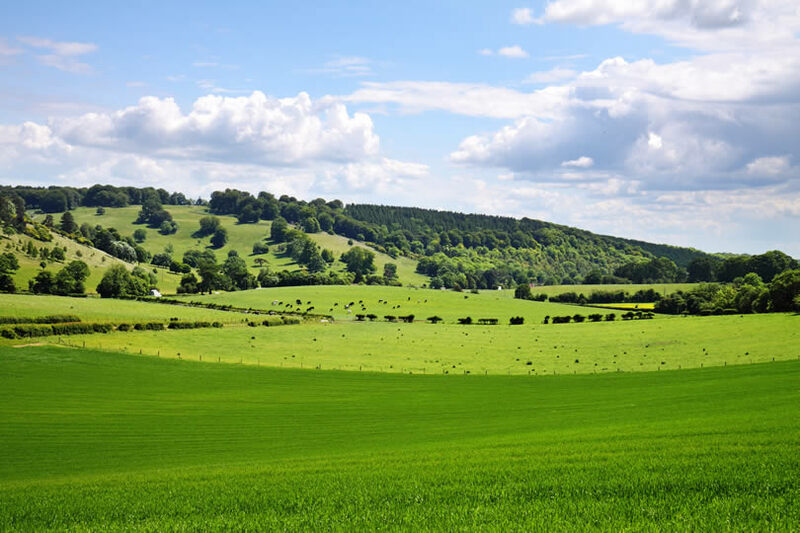 The rolling landscape of the Surrey Hills is interspersed with charming market towns such as Farnham, Dorking, Guildford and Reigate while stunning views can be enjoyed from the top of Box Hill. 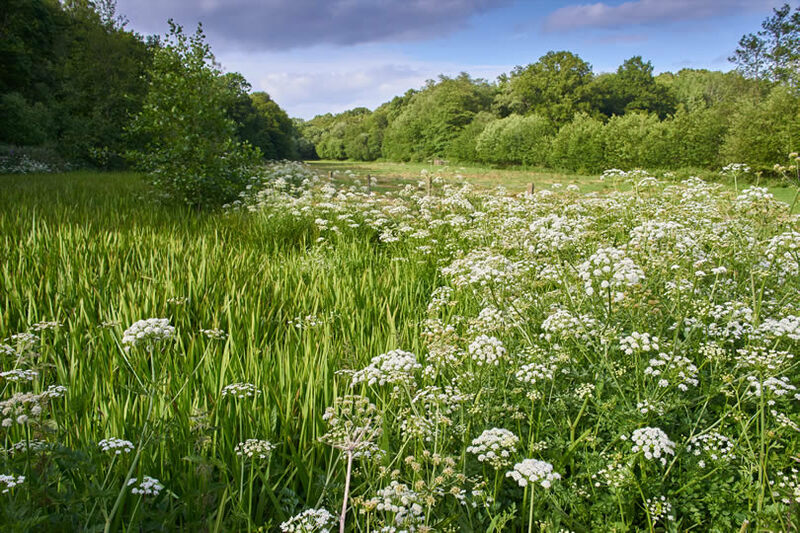 Some of southern England’s best walking, cycling and horseriding are found in the Surrey Hills while other attractions include the beautiful Polesdon Lacey, the RHS Wisley Gardens, the Basingstoke Canal and the Reigate Caves. The Peak District National Park is a beautiful place of contrasting landscapes worth visiting at any time of the year. Rivers crisscross the moors and dales while springs emerge from different points of the craggy peaks, and caverns lie deep underground. Dotted across the Peak District are busy market towns like Matlock where quaint Derbyshire customs such as Well Dressing still take place while the magnificent Chatsworth House and the family fun of Alton Towers are two of the best places to enjoy in the district. 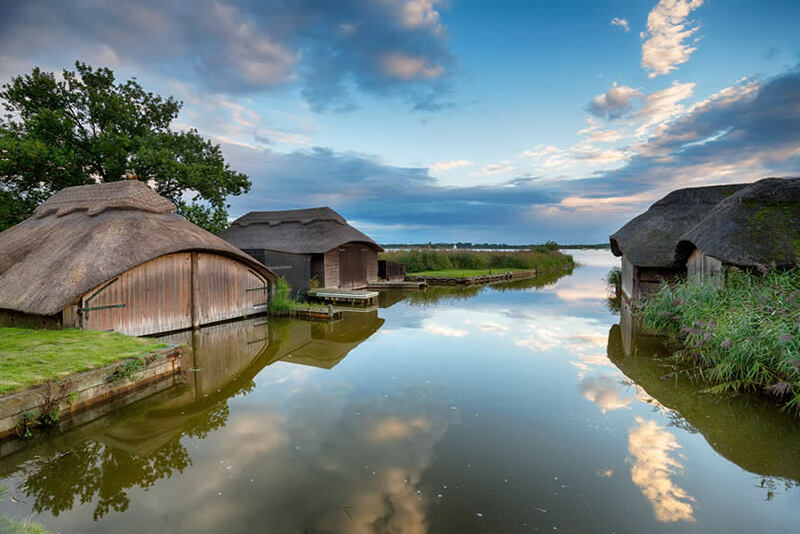 The Norfolk Broads is a charming man-made landscape and England’s only national park with a city in it, the city of Norfolk. Sometimes called the ‘Venice of the East’, the Norfolk Broads has more miles of waterways than both Venice and Amsterdam and is the perfect spot for messing around on boats whether you’re travelling as couples or with a family. Spend time away from your boat to visit attractions like Africa Alive or Sea Life Great Yarmouth. 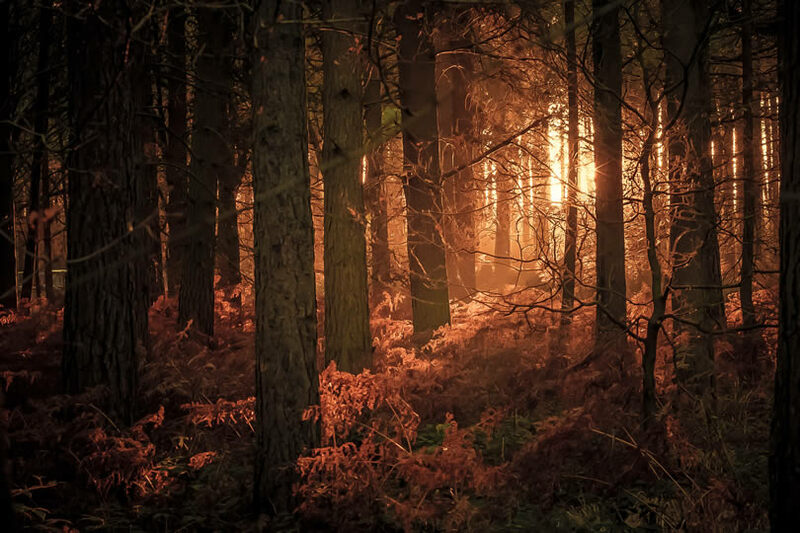 Sherwood Forest near Nottingham England is another great spot for enjoying the outdoor life. Once the legendary home of Robin Hood and his Merry Men, this fascinating eco-system has over 900 ancient oak trees, many with legends attached. Local folklore says that Robin Hood and his men slept under the shelter of the huge Major Oak, still standing all these centuries later. Visit the Sherwood Forest visitor centre to catch up on the legends. Cannock Chase is a former royal forest where a beautiful landscape opens out to fascinating historical attractions such as the Georgian Shugborough Estate and museums and memorials dedicated to our World War allies. 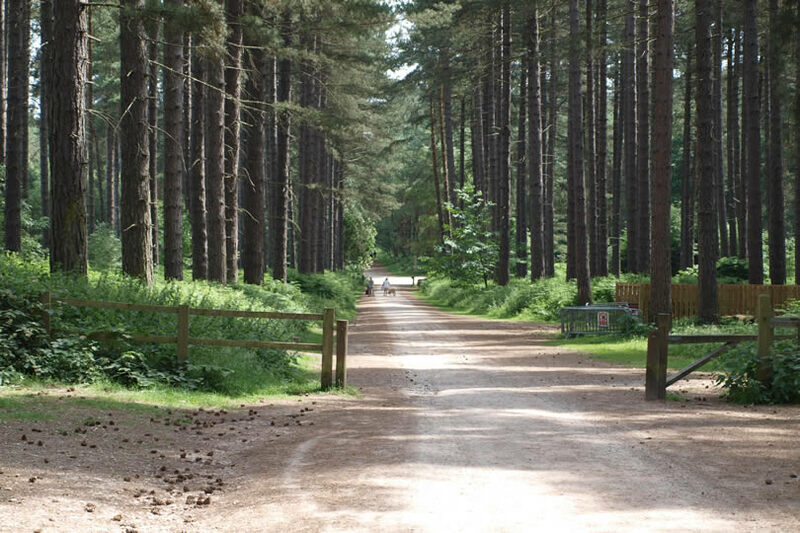 Enjoy cycling, hiking and horseback riding or if you fancy something a little more adrenalin-fuelled, then spend a morning at Go Ape Cannock Chase with its zip wires, rope swings and canopy walks. 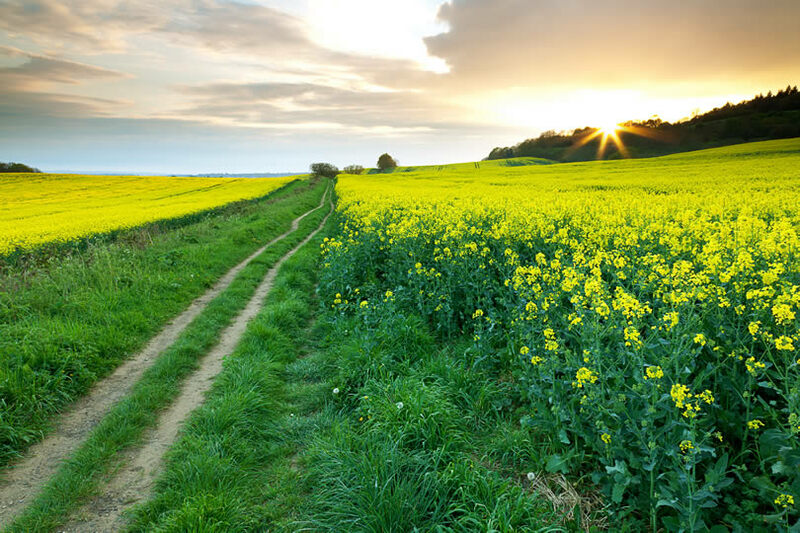 The Lincolnshire Wolds was designated an Area of Outstanding Natural Beauty in 1973. This flat Lincolnshire landscape is made up of fens and marshes. Up until the 14th-century, this was one of the most densely populated parts of England with royal estates, farms, towns and monasteries. Today, this heritage is now seen in the remnants of deserted medieval villages, showing up as humps, hollows and long wrinkles in farmed fields. The Malvern Hills is a place of contrasts. 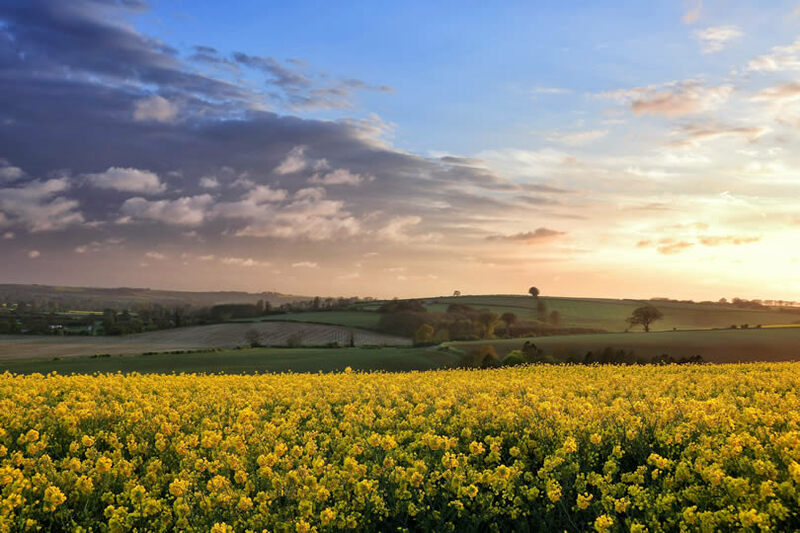 Attractive settlements like the Victorian spa town of Malvern, the riverside town of Upton-upon-Severn and Tenbury Wells in the Teme Valley all sit surrounded by beautiful countryside. Simply walk the wooded slopes of the hills or visit botanical gardens such as Picton and the birthplace of Sir Edward Elgar at The Firs in Lower Broadheath. 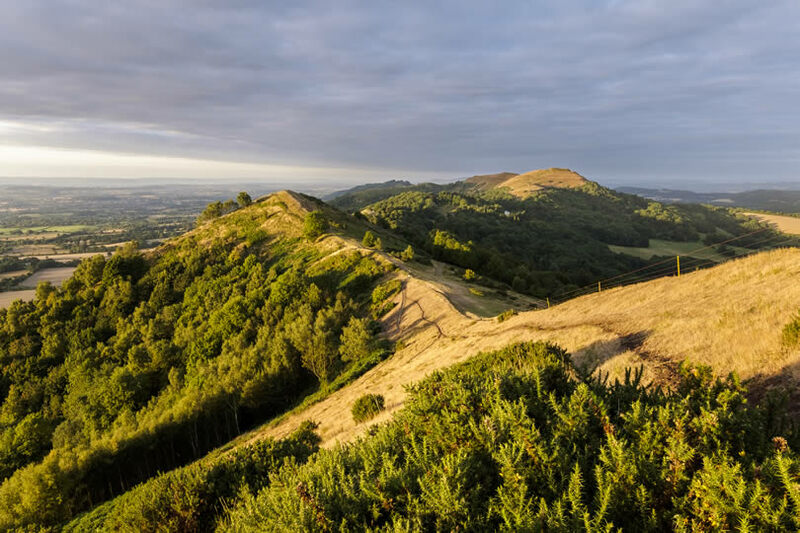 Designated an Area of Outstanding Natural Beauty, the Shropshire Hills is a landscape where historical heritage meets nature. Take short self-guided walks from the Shropshire Hills Discovery Centre or plan longer hikes along the Shropshire Way or the ancient Offa’s Dyke. If you’re an outdoor enthusiast you’ll find fishing, fell running, horseriding, geocaching and canoeing all on the doorstep when you visit the Shropshire Hills. It took 15,000 men over six years to build and for more than three centuries, Hadrian’s Wall was a vital outpost of the Roman Empire. Once, it stretched nearly 80 miles across the UK from coast to coast. 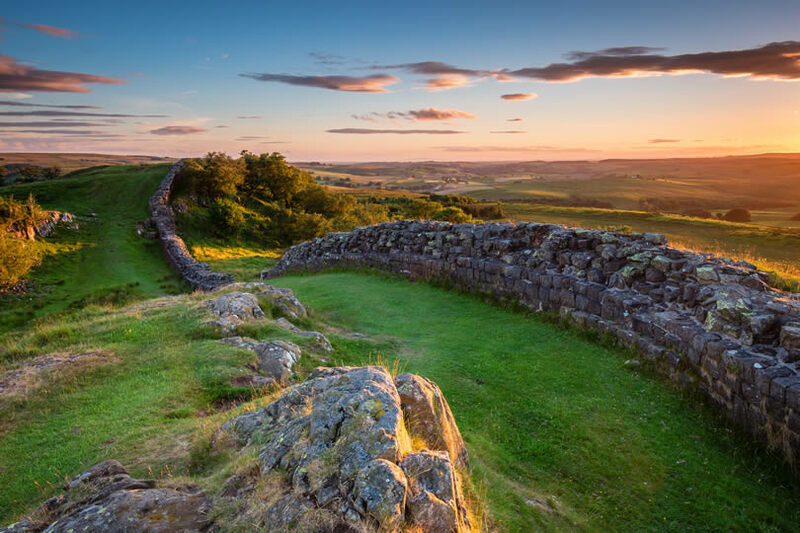 Today you can marvel at this feat of engineering and see how soldiers and their families lived by exploring the remains of milecastles, ramparts, forts, barracks and bathhouses all set against a backdrop of spectacular scenery. Explore its history in detail at the Senhouse Roman Museum. When you visit the Lake District you’ll be exploring one of Great Britain’s most iconic tourist spots, a place of spectacular beauty. 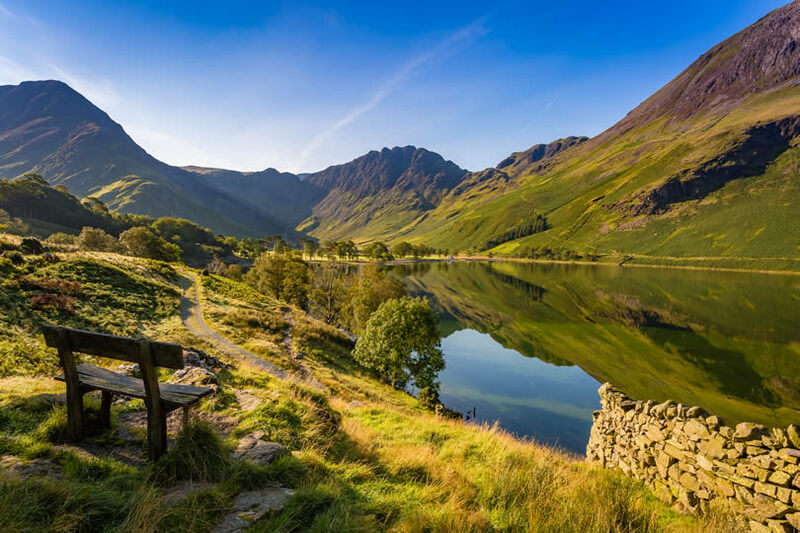 If you’re feeling energetic, climb to the top of Scafell Pike and look down on the tranquil lakes below or follow in the footsteps of famous authors William Wordsworth and Beatrix Potter as you explore the countryside. Be sure to spend some time in the pretty market town of Kendal and take a boat ride on Lake Windermere. Wild and windy one minute, peacefully tranquil the next, the Yorkshire Dales is a place that always has something to interest the visitor. It is an area rich in limestone scenery from underground caverns to crags and pavements while stone-built villages dot the landscape of the Dales. 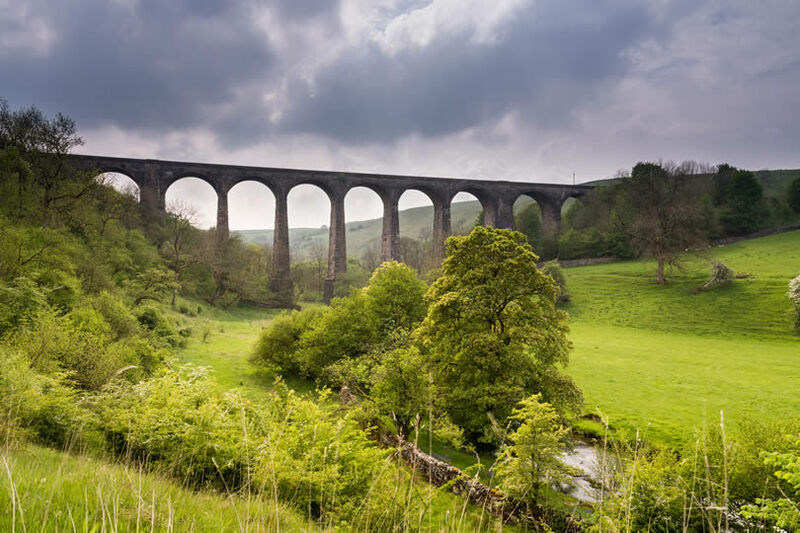 Work up an appetite cycling or hiking before sampling some tasty Wensleydale Cheese and locally brewed craft beer or tuck into a cream tea served Yorkshire style. 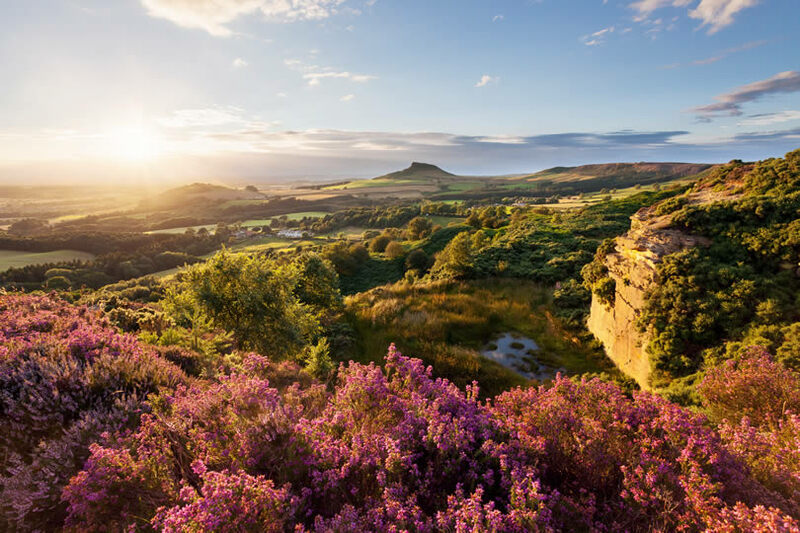 The North York Moors is one of Britain’s national parks and a place where history and nature have blended to create a uniquely interesting area. A moorland walk reveals ancient trees and birds of prey while the coastline presents dramatic vistas where moorland meets the sea. Evidence of centuries of human use can be found from Cold War steel bunkers back through Roman fortifications to the largest Iron Age hill-fort in northern England. 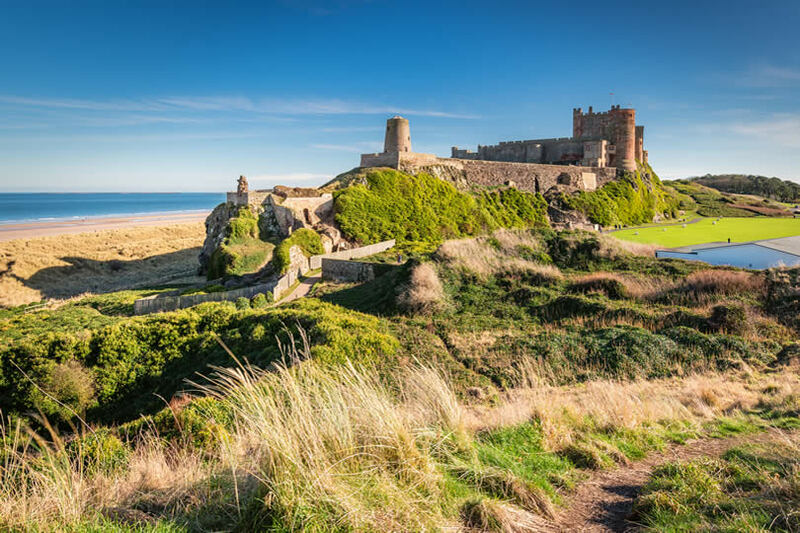 With many miles of spectacular beaches, family-centred resorts and a high-density of castles, the Northumberland Coast makes the perfect holiday spot. Enjoy a stroll through Seahouses with its retro-chic buildings or admire ‘The Couple’ at Newbiggin-by-the-Sea. Sculpted by Sean Henry, this now famous sight is the first permanent coastal sculpture in Britain. Spend some time in the medieval town of Alnwick and be sure to make the short boat journey to the Farne Islands, a beautiful coastal reserve. 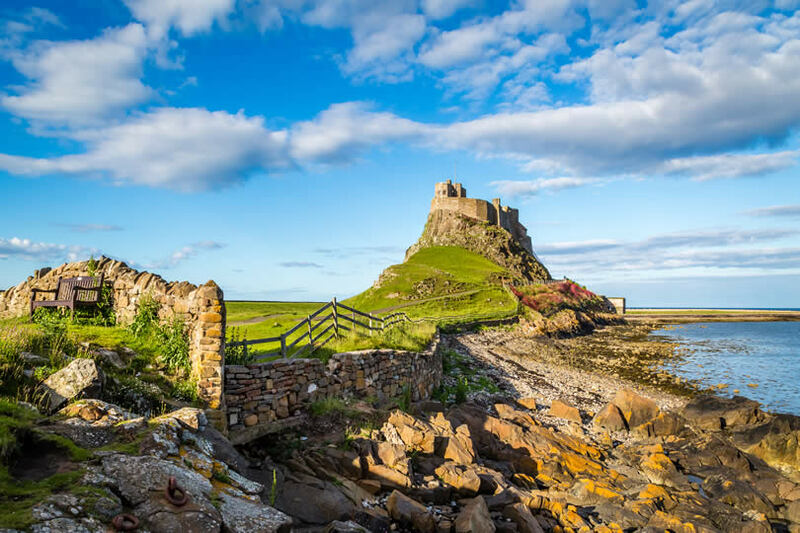 The Holy Island of Lindisfarne is considered the most important centre of early Christianity in England. Today you can explore the ruins of a priory built in the 12th-century before hiking through the island’s stunning scenery. At its tip stands Lindisfarne Castle. Once an atmospheric ruin, it was turned into a comfortable home, now open to the public, by famous architect Edward Lutyens. Time your island visit carefully, the tide cuts it off twice a day. The beautiful Farne Islands off the coast of Seahouses in Northumberland are a paradise for bird watchers and nature lovers. In summer the island is full of breeding terns while England’s largest colony of grey seals and their pups can be seen playing at the shoreline. It was from the Farne Islands that Grace Darling set out on her brave rescue mission from the Longstone Lighthouse. There are many points of interest to enjoy in Cumbria’s Eden Valley. This beautiful district nestles between the Lake District and the Pennines and is a lush area with ancient villages and family-friendly outdoor activities. The River Eden itself is great for trout fishing or take a walk to discover the ten intriguing sculptures called the Eden Benchmarks. Be sure to visit historic Shap Abbey and the market town of Penrith. 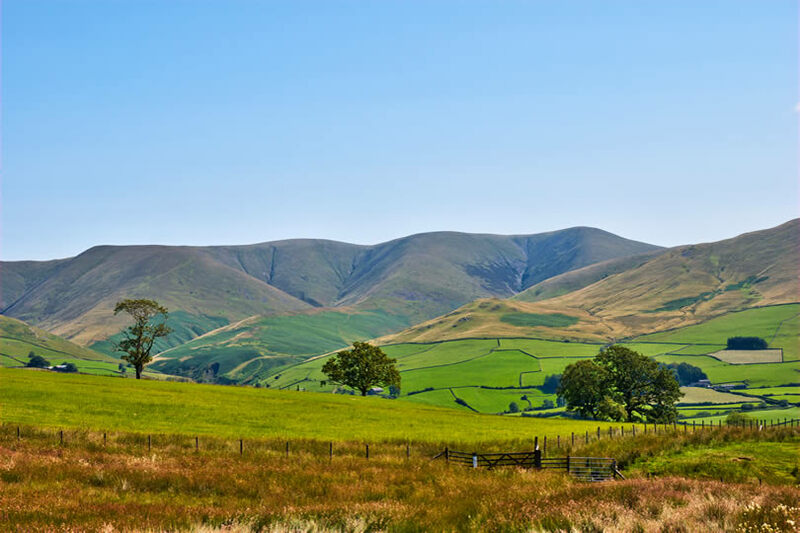 Lying within the Eden Valley are the dramatic Howgill Fells. 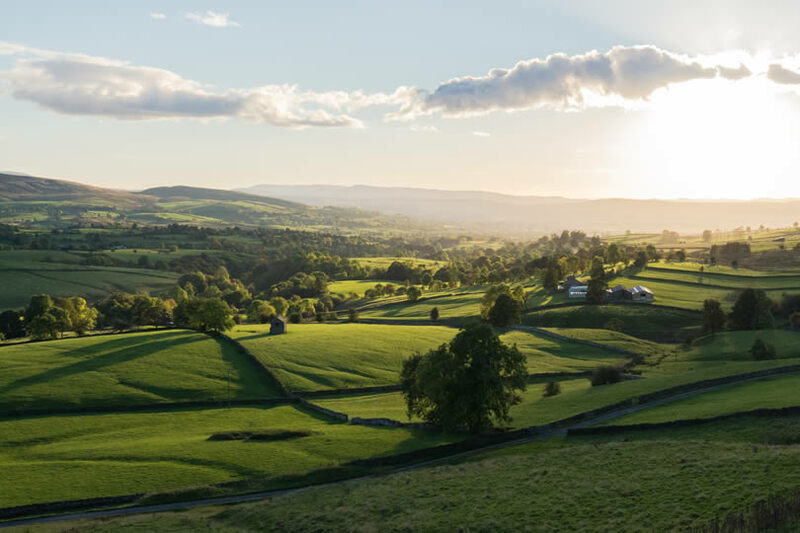 These rolling hills are the ideal destination for a walking holiday and from their heights give stunning views across the countryside to both the Lake District and the Yorkshire Dales. Stop off to admire the splendid Cautley Spout, considered to be the highest waterfall in England. The Northumberland National Park is a wild expanse of clear skies and stunning scenery threaded through with the history of Hadrian’s Wall. 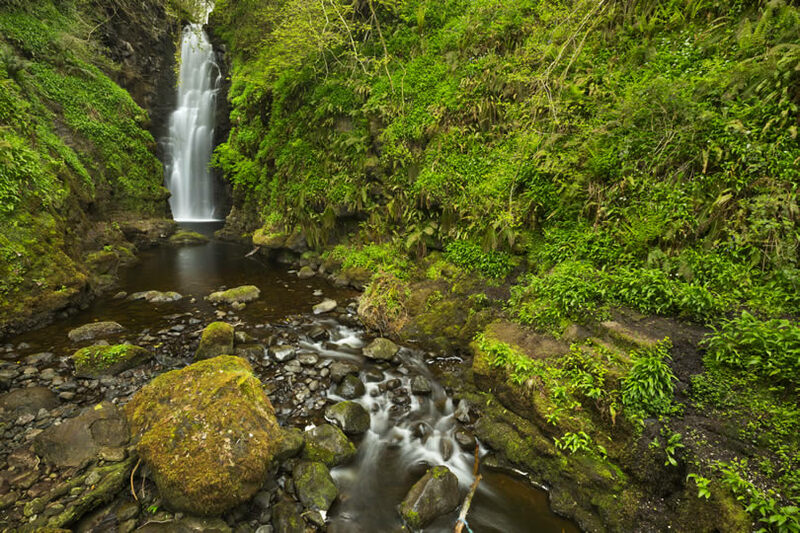 Enjoy solitary walks in the Cheviot Hills as you discover hidden woodlands and waterfalls before enjoying a relaxing drink in country village pubs. Be sure to visit The Sill, an innovative new visitor centre that blends cleverly into the landscape while bringing the area to vivid life. The North Pennines has been recognised as a UNESCO Global Geopark in recognition of its beautiful, diverse and important landscape. Heather moors and attractive dales just invite long walks while bird and wildlife watchers will find plenty to see through their binoculars. Imprinted on the natural scenery are intriguing remnants of the area’s industrial heritage. Start your visit to the North Pennines by exploring the informative interactive exhibits at the Bowlees Visitor Centre. 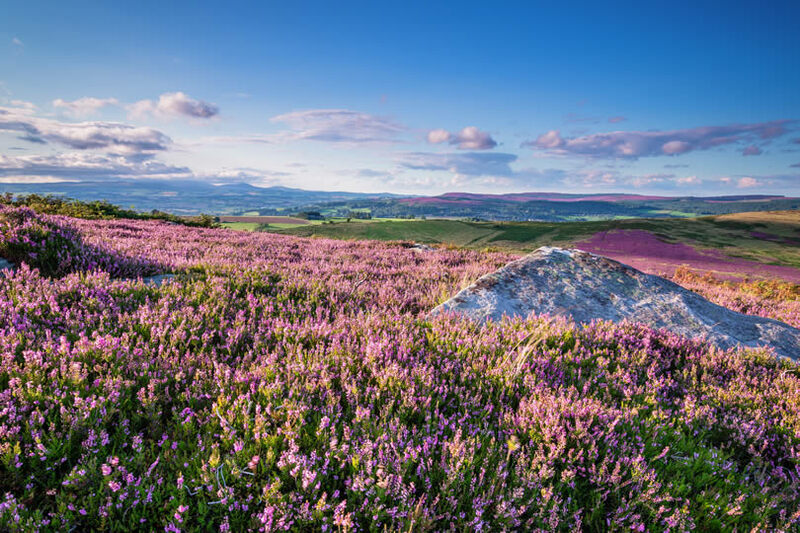 This Area of Outstanding Natural Beauty spreads itself across the counties of Lancashire and Yorkshire and provides a scenery of open moorland dotted with ancient stone walls. Rambling and riding are perfect ways of taking in the landscape or find country pubs and dine on fine local produce. 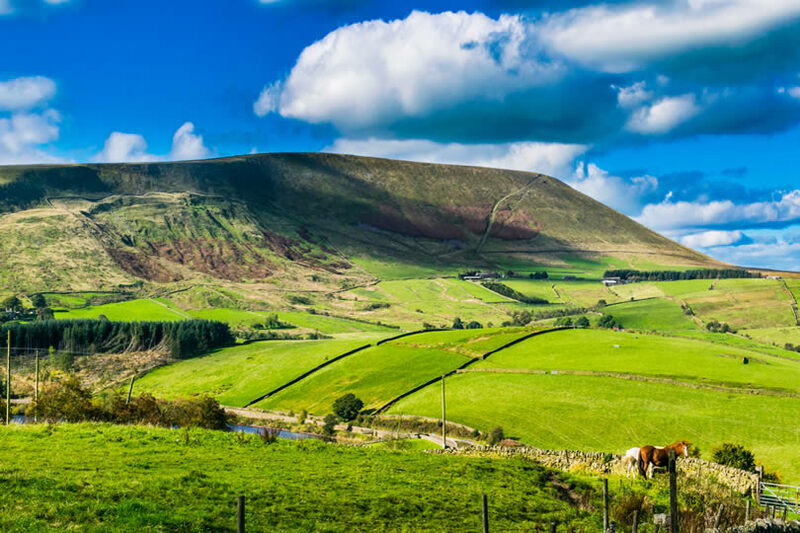 Visit the village of Barley, inhabited for over 3,000 years and from there make the climb up Pendle Hill for spectacular views of the Ribble Valley. 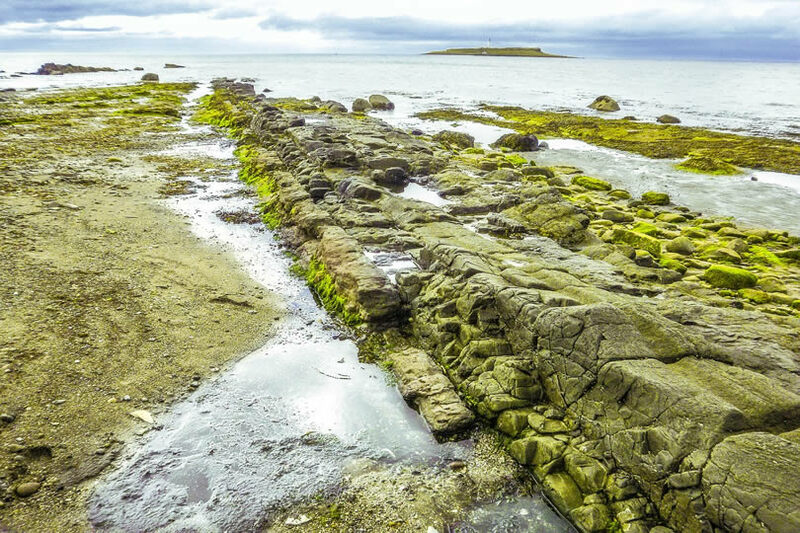 Yorkshire’s coastline is one of UK’s top fossil hunting locations which makes it an attractive tourist destination to both the amateur and professional Geologist. Often called the ‘Dinosaur Coast’, it stretches from Speeton to Saltburn-by-the-Sea. Take a walk along the beach in Whitby, Staithes or Runswick Bay to find fossils, bones and footprints. See evidence of Jurassic life at the Whitby Museum. The Museum’s geology collection contains recently found and fossils collected in the early nineteenth century. 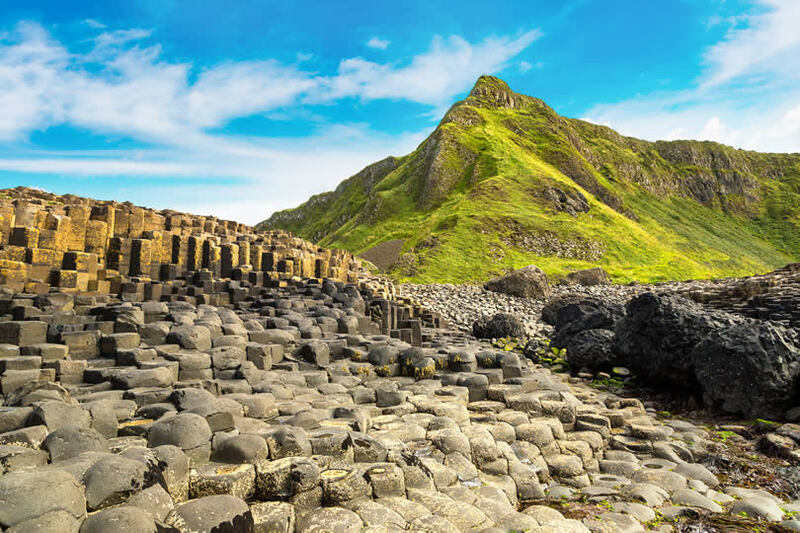 The Giant’s Causeway was the first UNESCO Heritage Site in Northern Ireland and is a geological wonder shrouded in legend. Volcanic eruptions millions of years ago left 40,000 basalt stone columns sticking out of the sea, much like a crazy paved pathway laid by the hand of a giant. 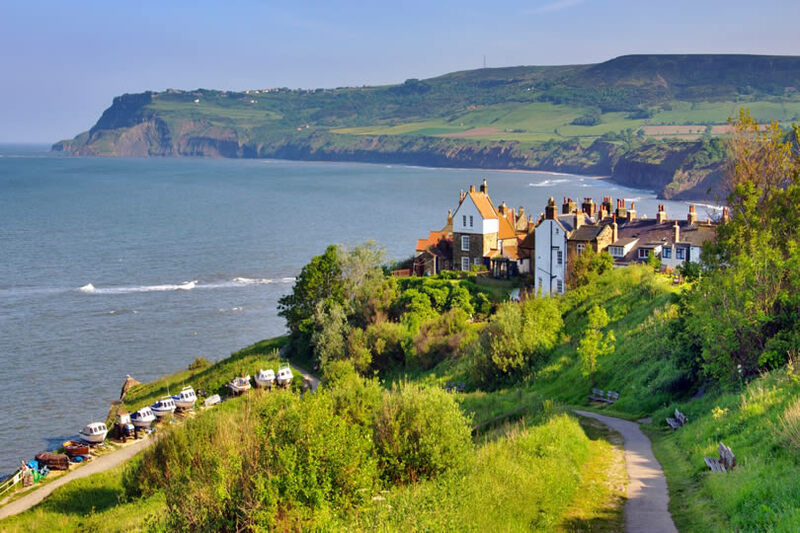 The award-winning visitor centre brings the area and its history to life while marked trails lead you along the causeway and through the stunning coastal scenery. 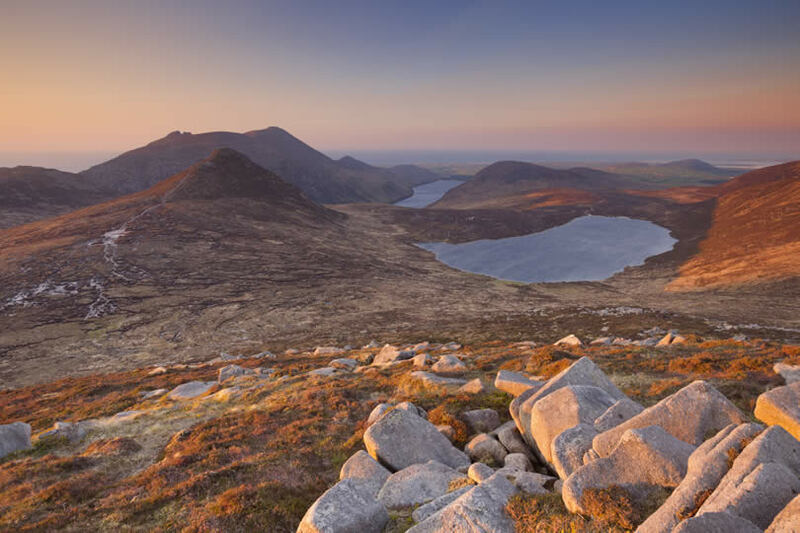 The Mourne Mountains region includes some of Northern Ireland’s highest peaks with Slieve Donard topping 2,790-feet. The area is dotted with granite outcrops and tors and has 900 rock climbing routes that attract climbers from around the world. This beautiful area is also popular with hikers and cyclists. Other attractions include the ruins of medieval Dundrum Castle, Legananny Dolmen and the house and gardens at Castlewellan Forest Park. 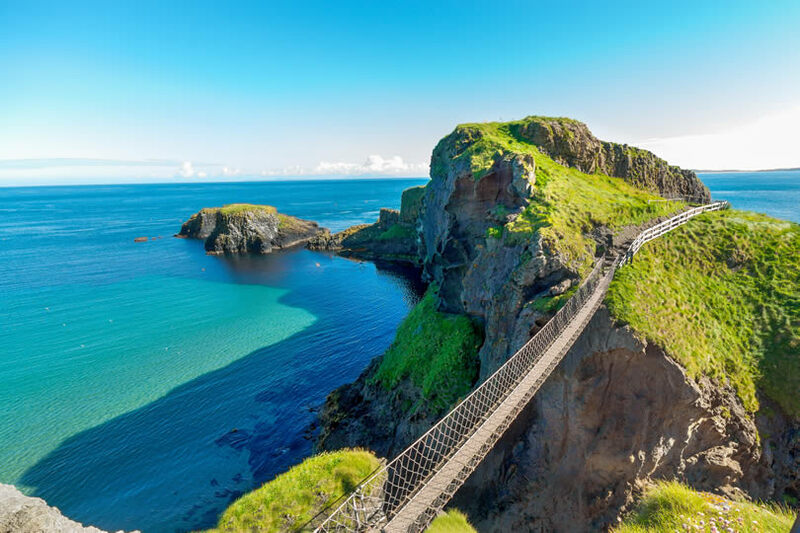 The Antrim Coast and Glens contain some of Northern Ireland’s most varied scenery. Strikingly green headlands like Ballygally Head and Garron Point contrast with the landscape of the Antrim Plateau with its wild atmospheric beauty. Look out for evidence of an Iron Age fort at Lurigethan before visiting the isolated island of Carrick-a-Rede. Here there is just one cottage accessed by a swinging rope bridge, first erected over 300 years ago. 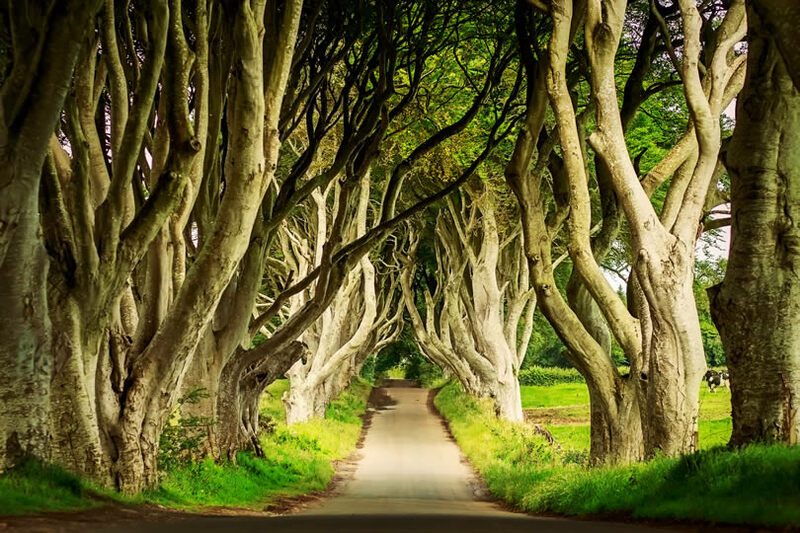 Anyone familiar with the TV epic ‘Game of Thrones‘ will recognise the Dark Hedges, a beautiful avenue of beech trees that form a stately entrance to Gracehill House This elegant Georgian mansion was built by the Stuart family in the 18th-century. Over the years, the beech trees have grown together to form a dark hedge and create a tunnel-like feel to the road. 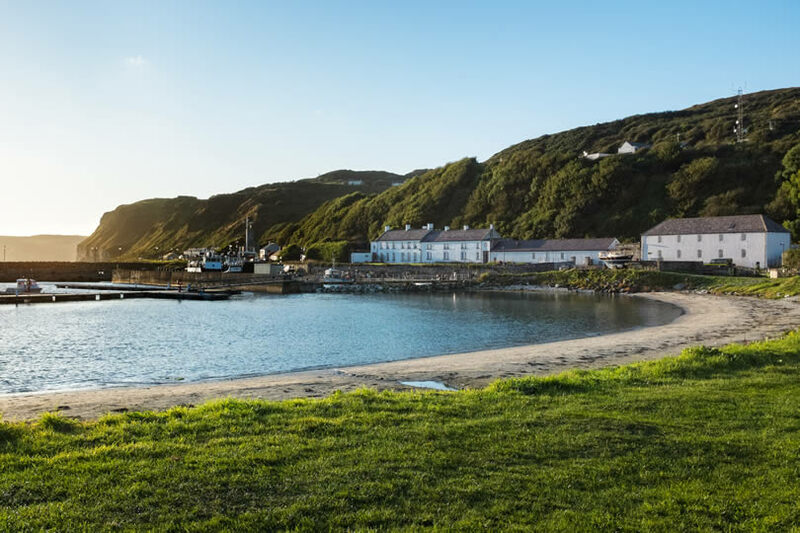 The L-shaped island of Rathlin lies just six miles across the Sea of Moyle from the mainland and is home to just a few people who live among its rugged splendour. 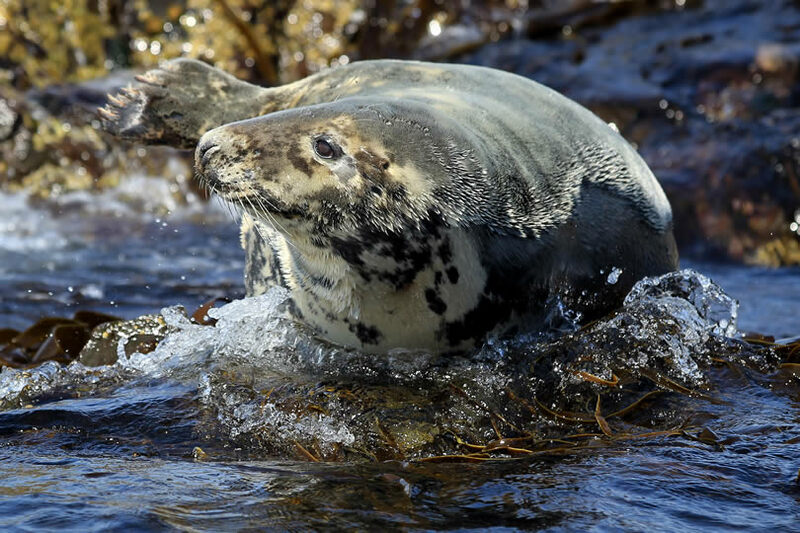 Pop into the Boathouse Visitor Centre to discover the heritage of Rathlin Island before enjoying a walk to Mill Bay with its resident seal population. 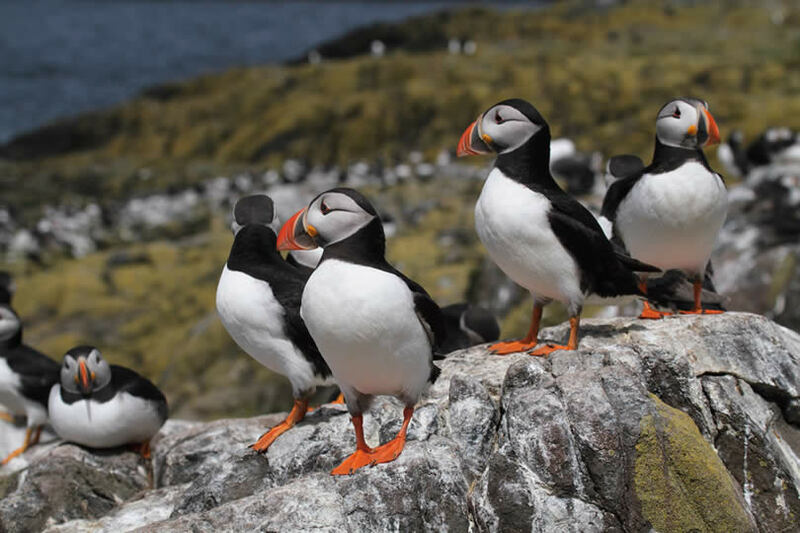 Other attractions are the working lighthouse and, during the summer months, large colonies of breeding puffins. 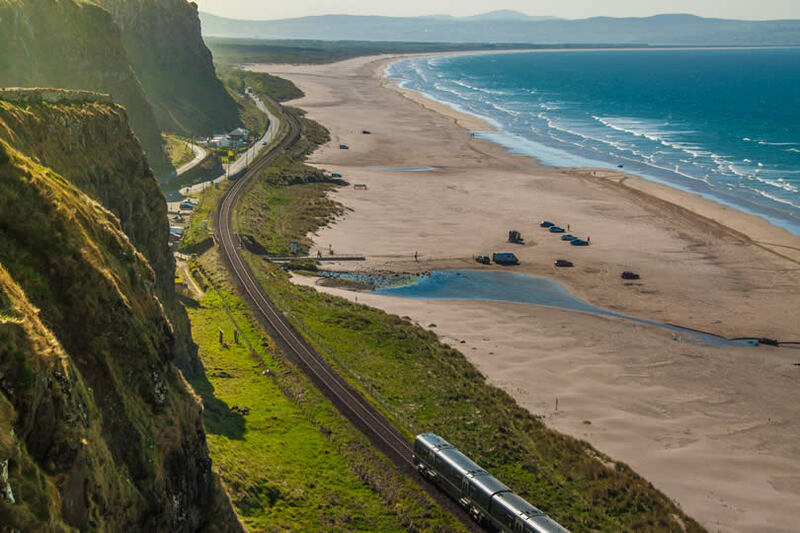 Binevenagh Mountain lies at the western extremity of the Antrim Plateau, providing a stunning backdrop to the Magilligan Peninsula and the villages of Bellarena and Castlerock. If you hike on its slopes, look out for the rare alpine birds and plants that make their home there. At the top of the mountain sits the Binevenagh Lake, a man-made stretch of water that attracts enthusiastic anglers. Gliding is another popular activity in the area. 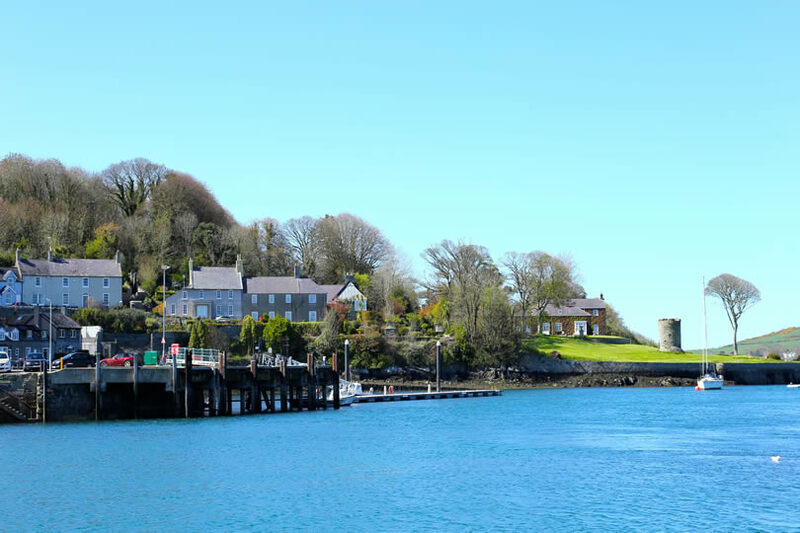 With Belfast just half an hour away by car, Strangford Lough provides a tranquil retreat from the bustle of city life. 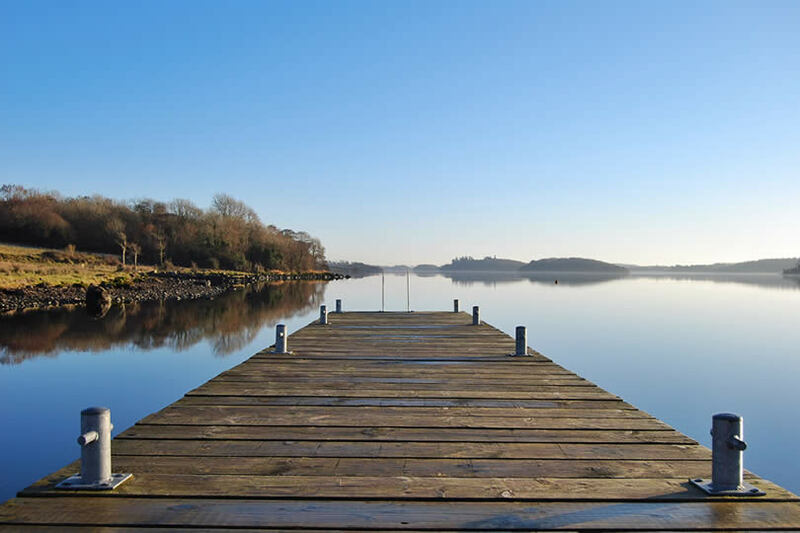 Sailing, kayaking, diving, fishing and canoeing all take place on or in the water while the shores of Strangford Lough are a paradise for birdwatchers. Take the family to Delamont Country Park with its guided trails, barbecue area, adventure playground and miniature railway or follow in the footsteps of St Patrick at the Saint Patrick Centre in Downpatrick. Lough Erne is the second-largest lake system in Northern Ireland. Its shore twists through many coves and inlets while there are 154 islands on the lake itself. Lough Erne is ideal for a fishing holiday while waterskiing, rowing, canoeing and waterboarding can be enjoyed if you feel more energetic. Take some time to visit and support the two RNLI inland-water stations that protect Lough Erne. They’re based at Carrybridge and Gublusk. Thomas Wright of Durham built Tollymore in the 18th-century creating a garden full of whimsical follies such as a barn that looks like a church, artificial caves and gothic-style gate arches. Planted among these are exotic specimens such as monkey puzzle and giant redwood trees. It was oak from the original Tollymore Forest estate that lined the interior of White Star ships including the ill-fated Titanic. 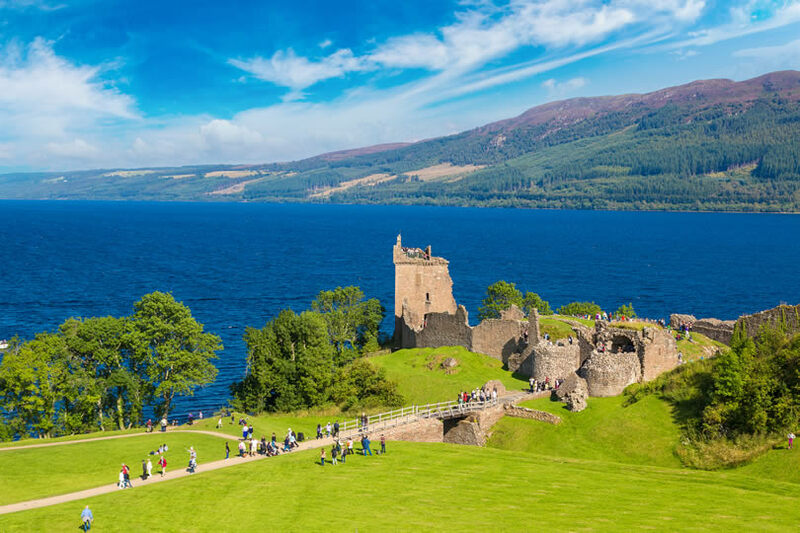 Lying close to the city of Inverness with plenty of accommodation, Loch Ness is the largest lake in Scotland by volume and a place wreathed in legend. Does the Loch Ness monster exist? Whether you think it does or not, keep an eye open as you explore the stunning scenery that surrounds the loch. Serious hikers might want to tackle the South Loch Ness Trail or the even longer Great Glen Way. Castles, myths and legends meet unparalleled scenery in the Scottish Highlands. Full of majestic mountains and lochs wreathed in mystery, you’ll find activities for everybody. In fact, Fort William is nicknamed ‘the outdoor capital of the UK’. The truly energetic can climb to the peak of Ben Nevis, go gorge walking or take to wild waters in kayaks and rafts. More leisurely pursuits include visiting Brodie and Dunvegan castles or the Glencoe Visitor Centre. 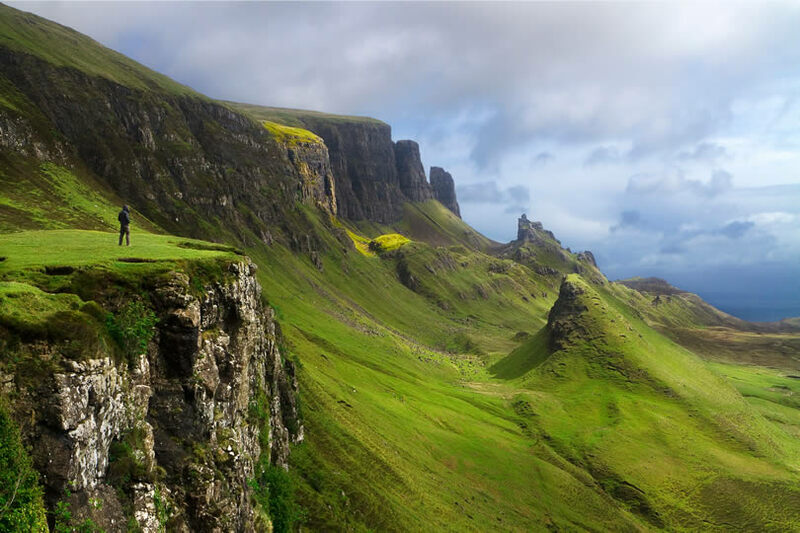 The Isle of Skye takes its name from the mists that often enshroud the Cuillin Hills and is the second largest of Scotland’s islands. 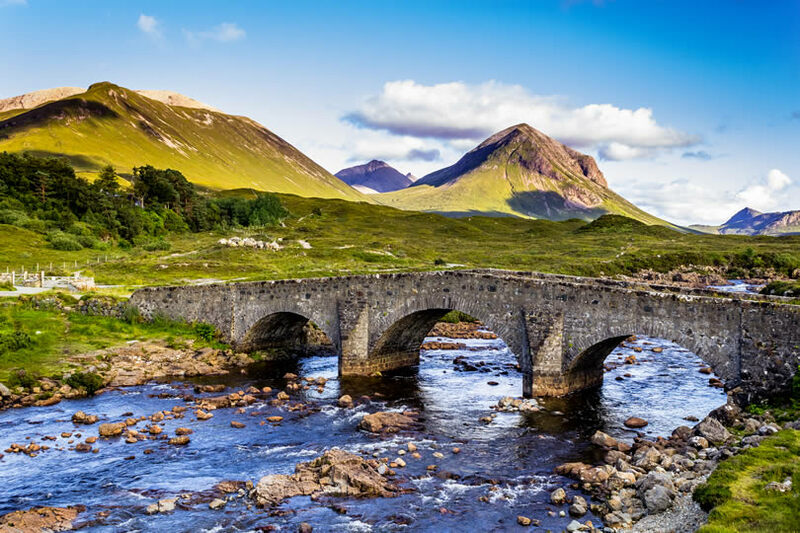 You’ll discover open skies, green moors, sparkling water and a backdrop of jagged mountains interspersed with small crofts, castles and the towns of Portree and Trotternish. Find out about living in a croft at the Skye Museum of Island Life. Eilean Donan is a jewel in the Scottish Highlands crown and has become a symbol of Scotland that’s recognised around the globe. 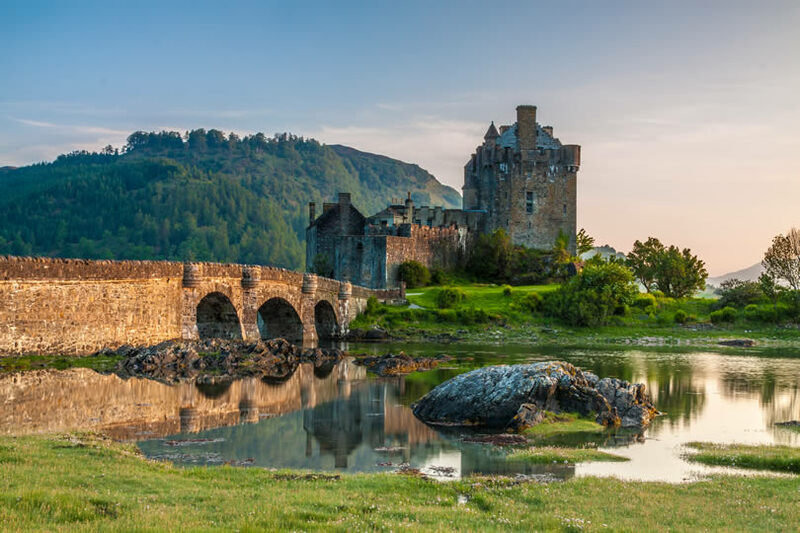 This tiny island sits at a point where three lochs meet and is just big enough to hold one of the country’s most visited castles, also called Eilean Donan. The Orkneys are a group of 70 islands all of which have their own distinct landscape. Inhabitation goes back around 10,000 years and the islands are now thought to be the oldest continuously inhabited sites in Europe. 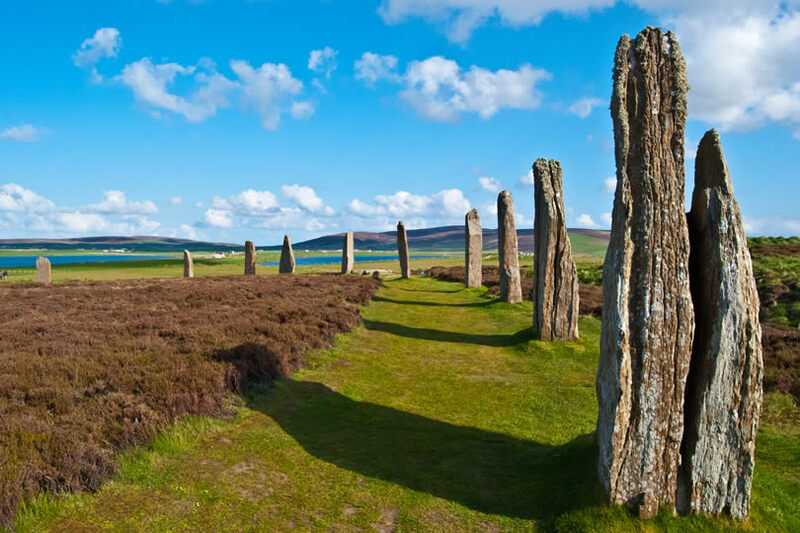 As well as enjoying walks in the beautiful countryside and along the coastline, visit ancient sites such as the prehistoric village of Skara Brae or the chambered tomb at Maeshowe. 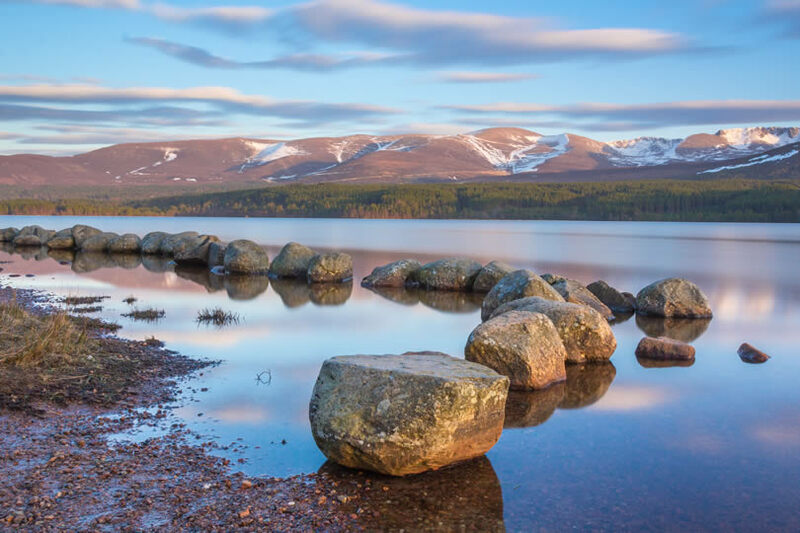 The Cairngorms National Park is a year-round destination with skiing in the winter and hiking, cycling and horseriding in the summer. As well as skiing, the town centre of Aviemore offers indoor and outdoor climbing for both beginners and experts while walks range from the easy around Loch Morlich to long distant hiking on The Speyside Way. The whole family will enjoy visiting the Cairngorms Huskies and Reindeer Centre or the Deeside Activity Park. 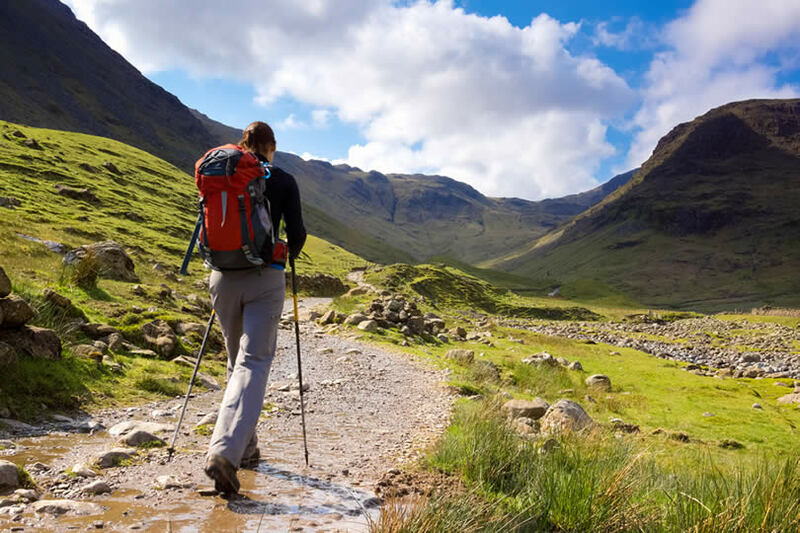 If you are new to hillwalking, then the Loch Lomond and The Trossachs National Park provides a gentle introduction with small hills that need little effort to reach the top. When you do the views are great. 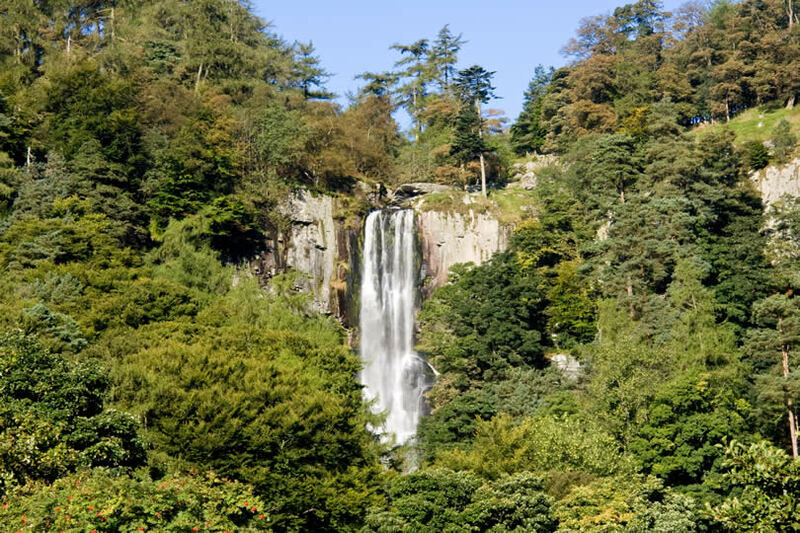 Take a boat trip on the loch to visit the small island of Inchcailloch or spend a few hours at the Benmore Botanic Gardens, famous for its redwood trees and rhododendron collections. Regular boats run from the Isle of Mull to Staffa, taking you past the steep cliffs of Ardmeanach and the Wilderness of Burg. 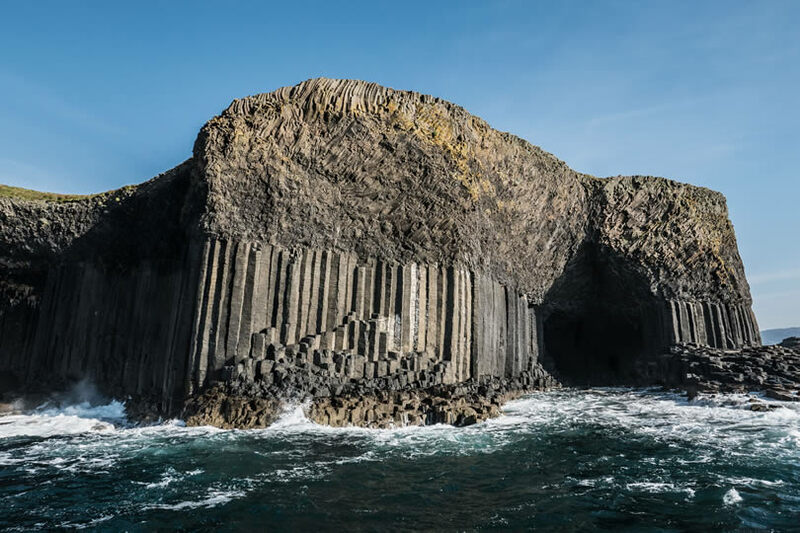 As you approach the Isle of Staffa you are greeted by huge basalt columns and deep caves, a magical view captured by Mendelssohn in his Hebrides Overture. On the Isle of Staffa, explore the spectacular Fingal’s Cave, a place of true mystery. 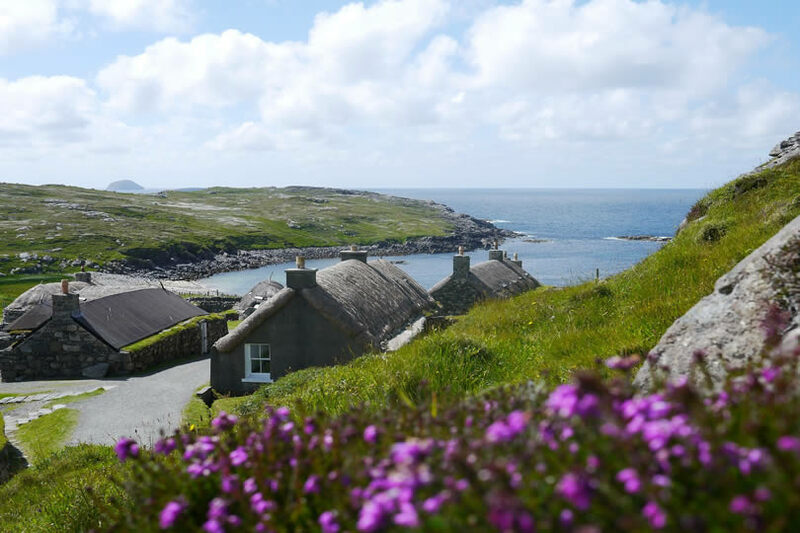 The Outer Hebrides are inter-connected islands each with a distinctive way of life where you’ll be greeted with traditional Hebridean hospitality. Expect a peaceful stay soaking up nature and wildlife interspersed with visits to croft museums and lively ceilidhs. One of the Western Isles is St Kilda, the remotest part of Britain and a haven for thousands upon thousands of nesting seabirds. Although John O’Groats is usually considered the most northeasterly point of the British mainland, this is actually found at Duncansby Head. 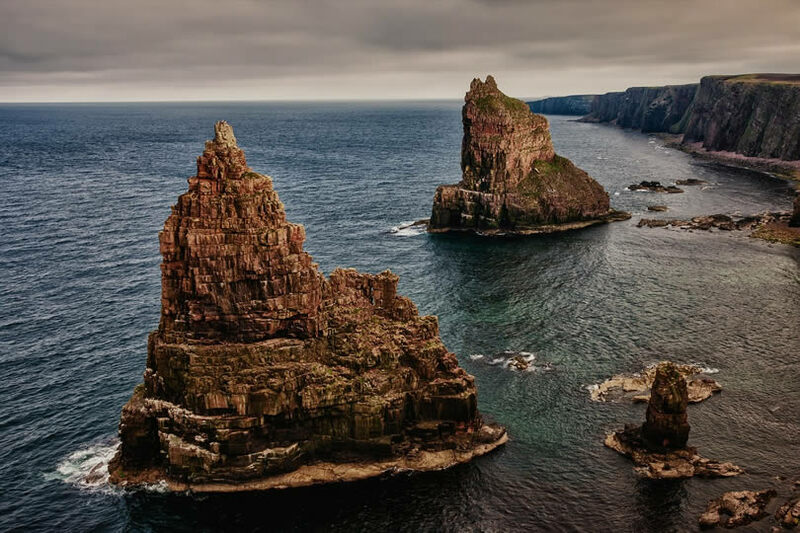 Here you’ll find an excellent coastal walk that offers you views of the intriguing Duncansby Stacks, two prominent sea stacks that rise dramatically out of the water. 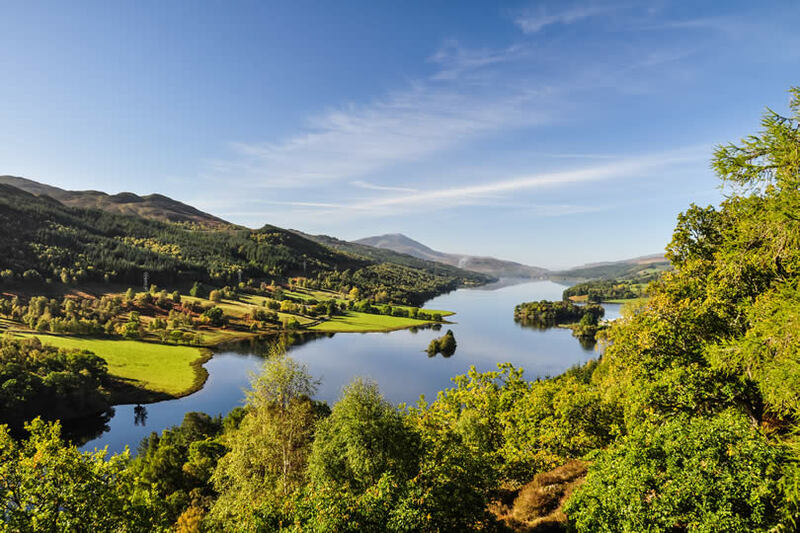 The city of Perth or the town of Pitlochry both make good bases for a holiday in Highland Perthshire. Perth is a lively and cosmopolitan city on the banks of the River Tay while Queen Victoria was one of the earliest holidaymakers to stay in Pitlochry. 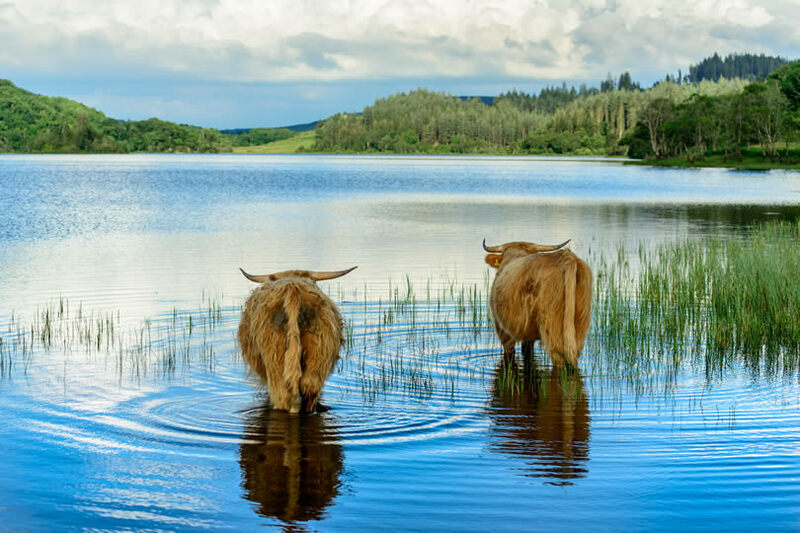 Highland Perthshire is a region of breathtaking variety with bleak moors, deep forests, wide rivers and waterfalls cascading from high crags. Some people consider the Shetland Isles to be more Scandinavian than Scottish. The rugged beauty of the islands attracts visitors back again and again, helped by the warm island welcome you’ll receive. Wherever you go in the islands there are friendly Shetland ponies roaming wild. Find out about them and island life at the Bressay Heritage Centre or Crofthouse Museum as well as taking to the outdoors with hiking, riding, kayaking, sailing and surfing. The Firth of Clyde is one of the largest areas of sheltered deep water in Great Britain making it a popular destination for sailing and recreational water activities. 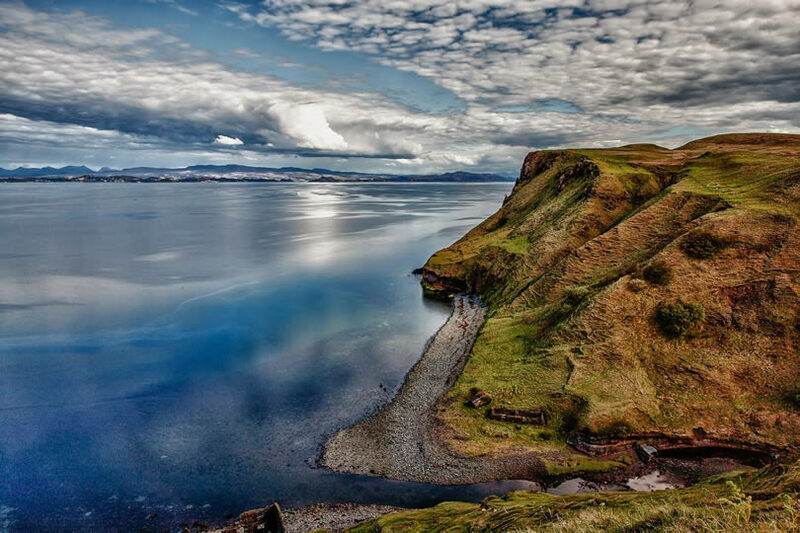 The landscape you’ll see from the water has changed very little since the Viking invaders arrived and settled the shoreline before being defeated at the Battle of Largs in 1263. The long stretch of the Clyde is dotted with small islands like Arran, Bute and Sanda. The Mull of Galloway is Scotland’s most southerly point and a tranquil place unknown to many. Stunning countryside, sandy beaches and invigorating clifftop walks can be enjoyed while the wildlife is abundant, with dolphins, porpoises and seabirds. The area’s mild climate means there are six botanical gardens to stroll around while the Mull of Galloway Experience includes a climb to the top of the lighthouse, rewarding you with panoramic vistas from the viewing gallery. Just a short drive from Edinburgh or central Glasgow is Finnich Glen with The Devil’s Pulpit, a beautiful deep green gorge. Through its centre flows a red river, giving it a satanic appearance in keeping with the naming of The Devil’s Pulpit, a rock formation that looks like a church pulpit. To reach the glen at the bottom of the gorge you need to descend the Devil’s Steps or Jacob’s Ladder. Be sure to take your camera, the place is magically photogenic. The Snowdonia National Park is one of the most iconic destinations in Wales. Spend a day hiking to the summit of Great Britain’s largest peak, Snowden, taking in spectacular views and awesome waterfalls. The park is home to Europe’s longest and the world’s fastest zip line at Zip World Velocity or go underground to Bounce Below. This unique cavern experience features three huge trampolines connected by slides and ladders, all bathed in psychedelic lights. 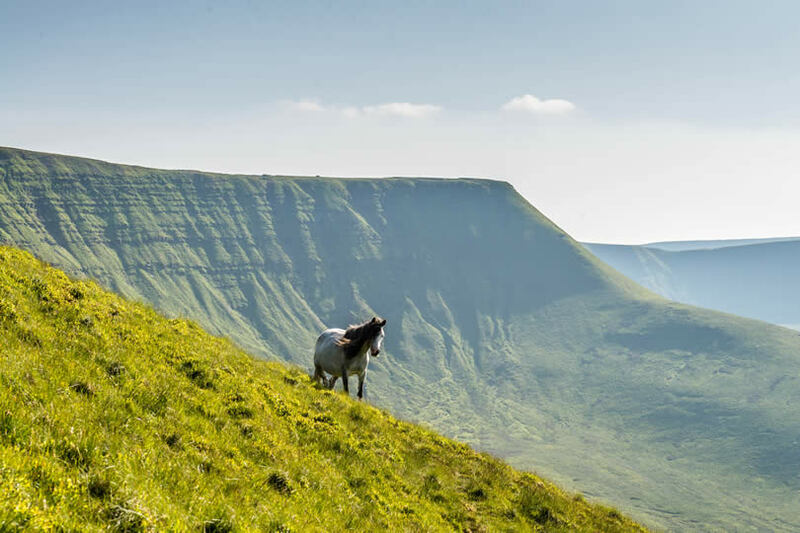 The landscape of the Brecon Beacons National Park has been created from eight centuries of human activity, leaving a fantastic place for outdoor adventures from mountain biking to horse trekking and cave exploring to hiking. Explore book-mad Hay-on-Wye, enjoy fine local food in Abergavenny or simply browse Crickhowell, the starting point for many hiking trails across the Brecon Beacons. 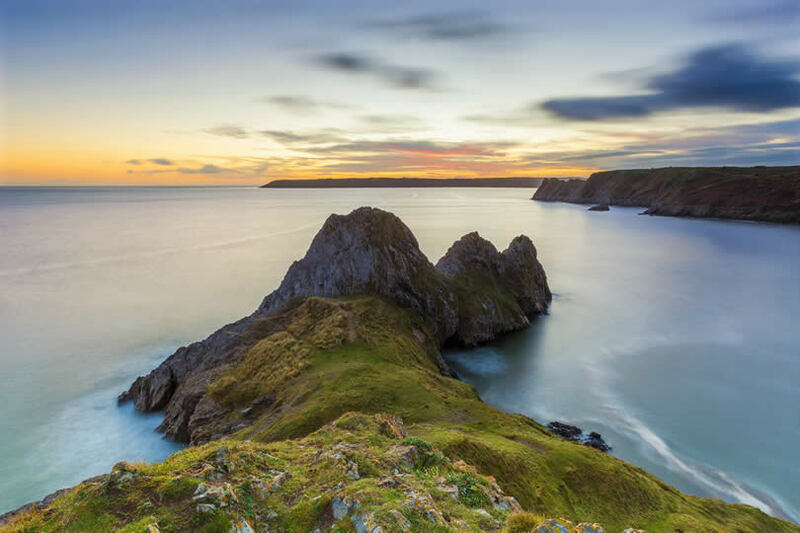 The Gower Peninsula was the UK’s first Area of Outstanding Natural Beauty, receiving its designation back in 1956. This varied environment has stunning beaches and awesome limestone cliffs along with a mystical heritage that inspired the poems of Dylan Thomas. Llangennith Beach has been attracting surfers for decades while families can relax at Rhossili Bay. Try your hand at coasteering around the shoreline or simply enjoy scenic walks along the Wales Coast Path. 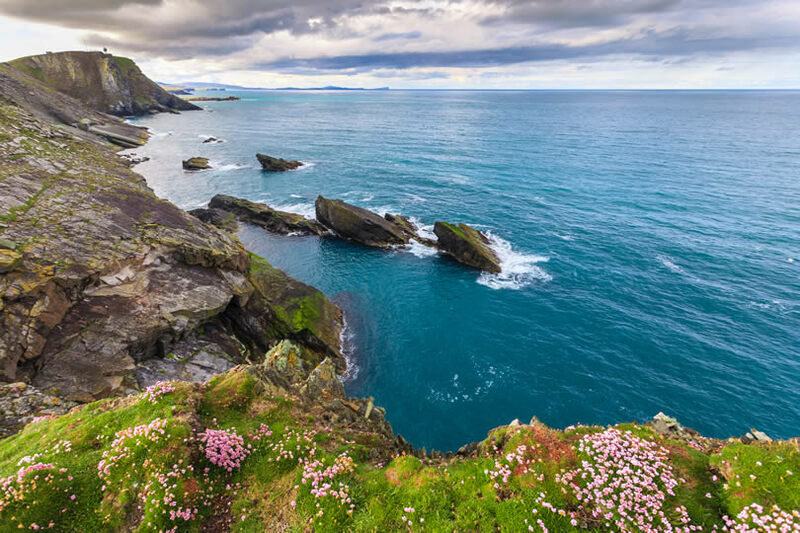 Cardigan Bay is a delight for walkers, it is home to the Ceredigion and Pembrokeshire Coastal Paths. You might, if you’re lucky, spot the UK’s largest pod of resident dolphins playing in the bay while the area’s light quality has long been a draw for photographers and artists. 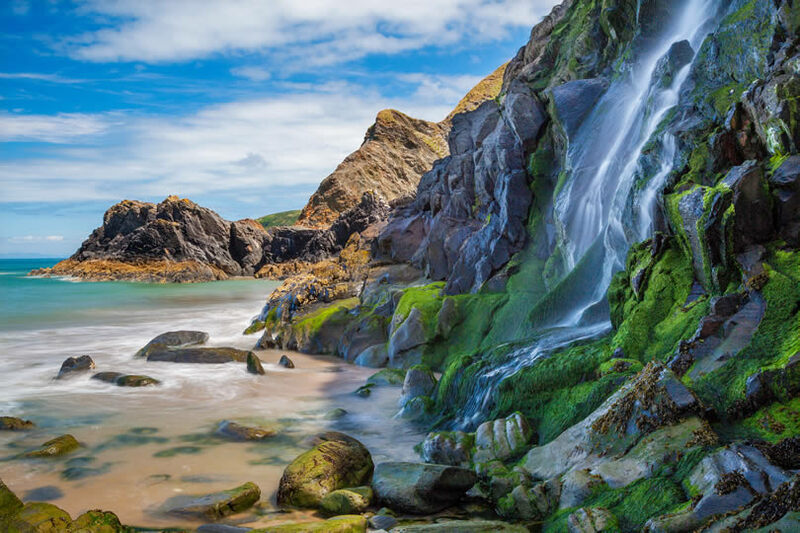 Tresaith Beach is a must-go place to see the waterfall created as the River Saith rushes over the cliff edge to the beach below. Llanddwyn Island is a narrow finger of land on Anglesey and is part of the Newborough Warren National Nature Reserve, an area of mudflats, saltmarshes and dunes that support a huge range of plants while the island’s cliffs are home to breeding seabirds including oystercatchers and cormorants. The fascinating rolling landscape is formed of pillow shapes created by once-molten lava. 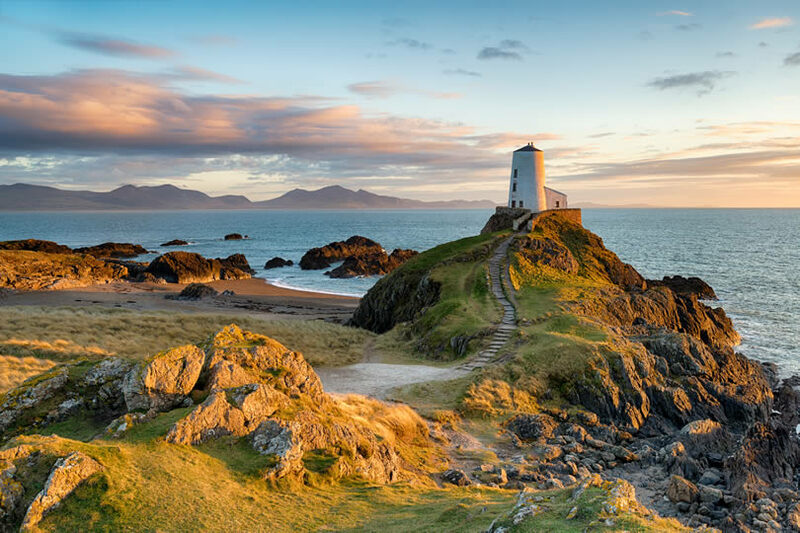 While on Llanddwyn Island pay a visit to the small church of St Dwynwen. This enchanting waterfall lies just across the Welsh border in the Berwyn Mountains and is the highest single-drop waterfall in Britain. It has a magical atmosphere that captivates, giving you an experience that takes you away from your daily cares. 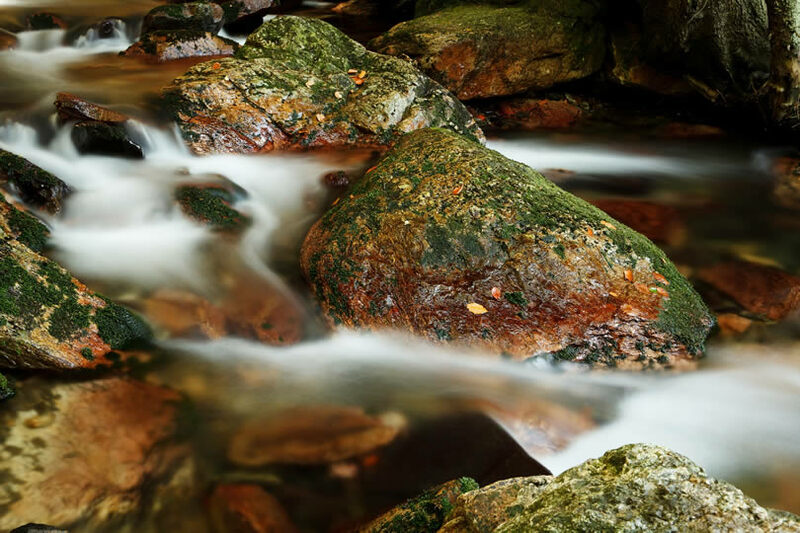 When you’ve finished soaking up the atmosphere, there is a little teashop under the waterfall waiting to revitalise you before you continue walking. 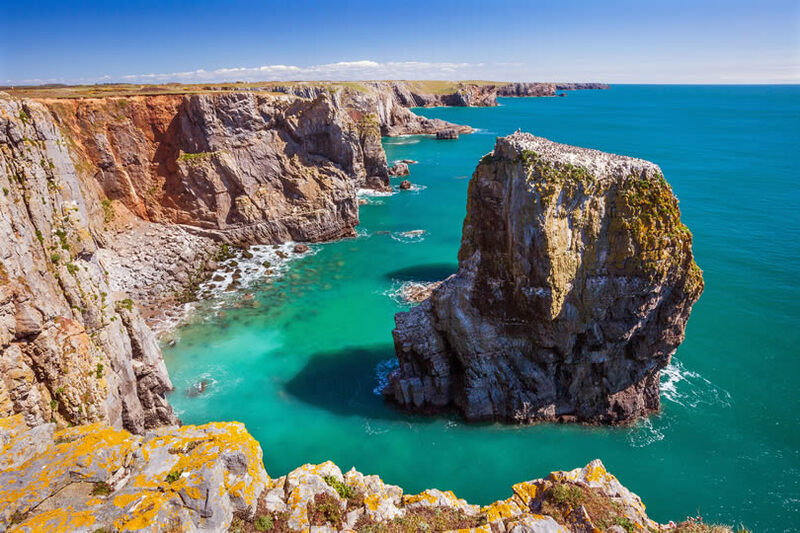 The Pembrokeshire Coast National Park is perfectly designed for walkers, wildlife watchers and watersport enthusiasts. Catch the sparkling early morning light or take a gentle evening walk as the sun sets over the landscape. Part of the Wales Coast Path goes through the park while there is also plenty of history to enjoy with heritage sites such as Castell Henllys or the Neolithic stones of Pentre Ifan. Great Orme is massive limestone headland affectionately known as Llandudno’s ‘mini-mountain’ or the ‘sea monster’. Hike to the top or if you’re feeling less energetic hop on the Great Orme tramway or the cable car which take you to the Great Orme Visitor Centre (summer only). 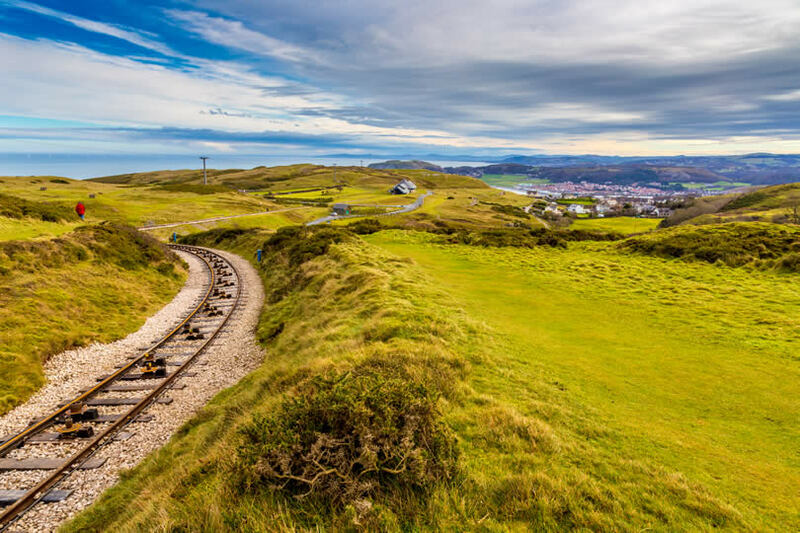 Great Orme close to the seaside town of Llandudno is home to the world’s largest Bronze Age mining site as well as rare wildlife such as choughs and the silver-studded blue butterfly. The Glamorgan Heritage Coastline provides walkers and cyclists with a 14-mile stretch of spectacular views. As you reach the top of the blue cliffs the view plunges down to secluded coves while a special feature of this coastline is its tidal range, the second highest in the world after the Bay of Fundy in Canada. When you’re ready for a break from walking, you’ll find pretty villages and towns with pubs and cafes. The Llyn Peninsula is an arm of land that snakes out from Snowdonia, filled with little ports, sandy beaches and sea-cliffs. 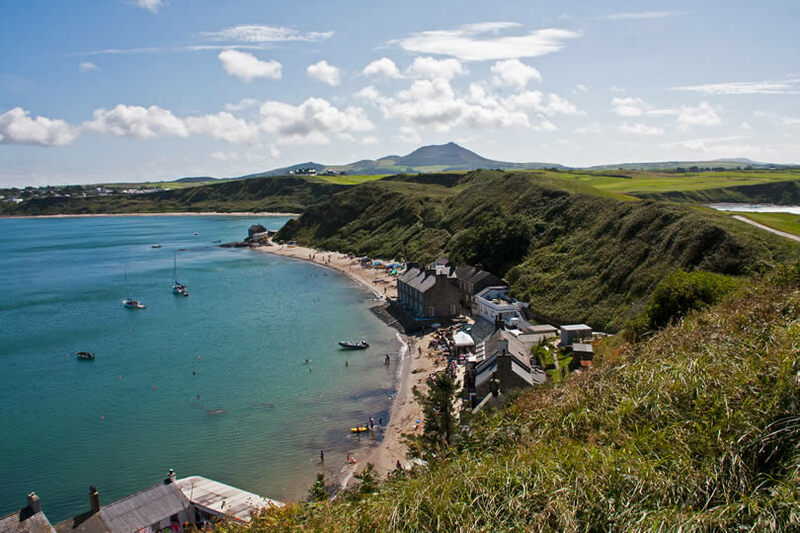 The Wales Coast Path winds its way around the Llyn Peninsula inviting cyclists and hikers to take in the view while seaside resorts like Abersoch, Llanbedrog and Pwllheli offer traditional seaside fun for the whole family. Find time to include a dolphin watching boat trip during your stay. The Cambrian Mountains are one of the few truly remote areas left in southern Britain. This wild moorland is alive with wildlife and dotted with small lakes that lie like jewels in the landscape. 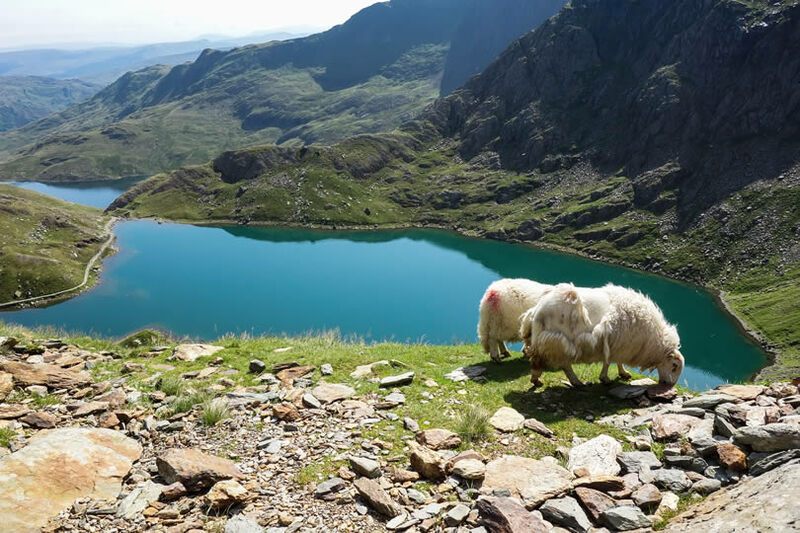 Hike to the top of Pumlumon Peak for clear views across to Snowdonia and the Brecon Beacons before visiting the Silver Mountain Experience to discover the region’s heritage and taking a trip on the Vale of Rheidol Railway. 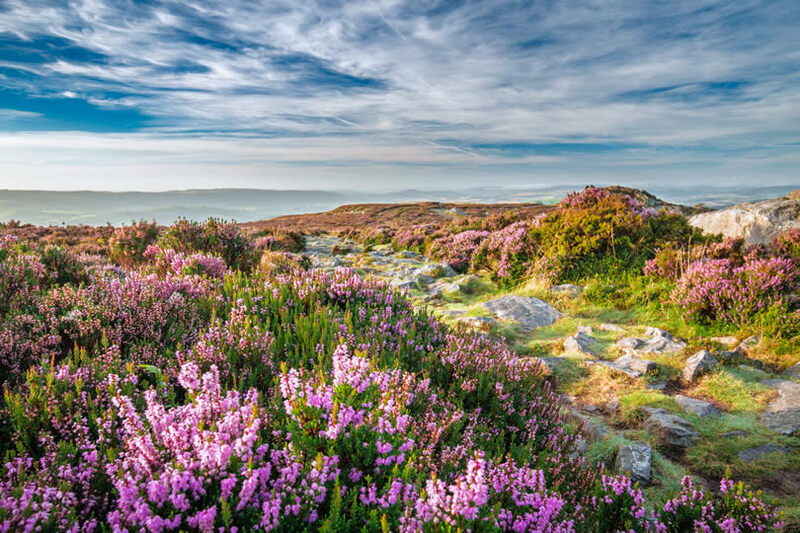 With beautiful forests and heathlands, the Clwydian Range and Dee Valley make up one of Wales’ newest Areas of Outstanding Natural Beauty. Hike on Eglwyseg Escarpment and Esclusham Mountain or follow gentler trails along Offa’s Dyke, trails also perfect for cycling and horse riding. In places, 400 million years of geology are exposed while the remains of Iron Age hill forts dot the region. If history fascinates you, be sure to visit Denbigh Castle. 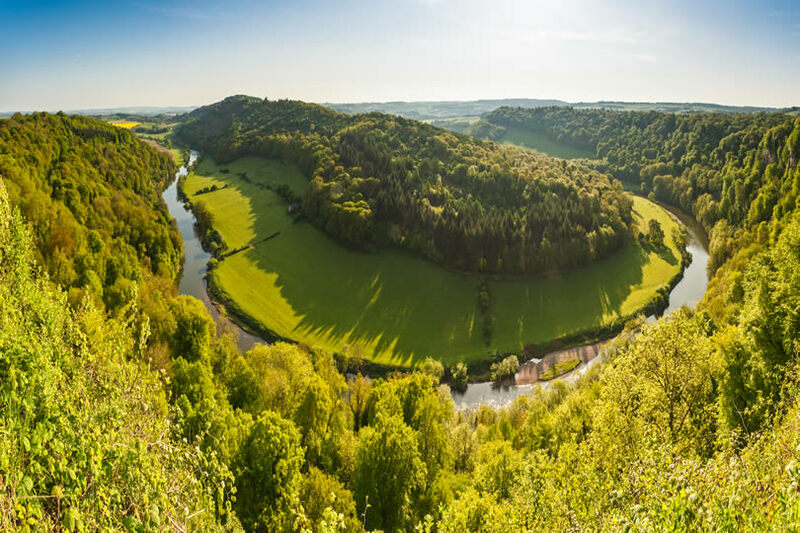 The atmospheric remains of Tintern Abbey and remnants of the Roman occupation at Usk and Caerleon are just some of the historic delights that await you in the Wye and Usk Valleys. Explore Britain’s first stone-built castle at Chepstow before taking a scenic walk along the banks of the Wye and Usk rivers as they wind their way through the valleys. Although part of Great Britain, the Channel Islands lie closer to French shores than British shores and often appear to be a blend of both French and English. 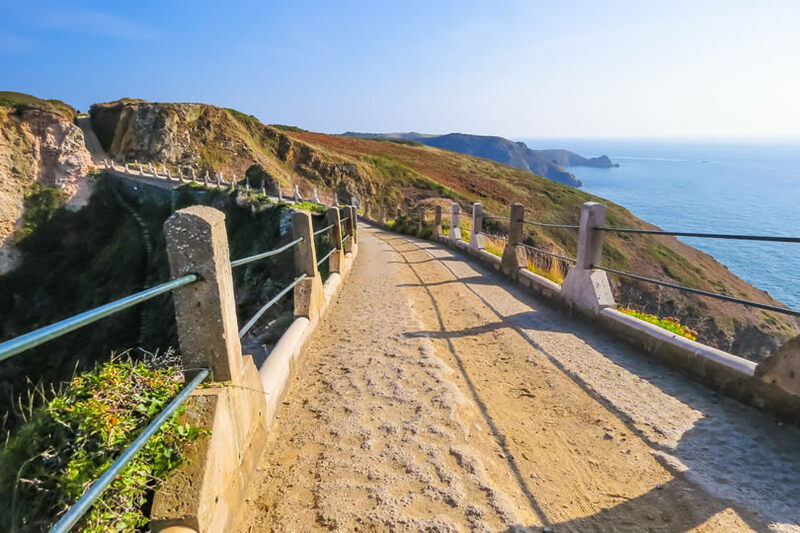 Jersey, Guernsey, Alderney, Sark and Herm make up the Channel Islands and each has its own distinctive landscape and attractions. Jersey, capital city St Helier, and Guernsey, main city Saint Peter Port, are the largest and most populated islands with bustling capitals while in contrast, Alderney, Sark and Herm are the perfect tranquil destinations for long hikes on stunning coastline routes or simply lazing around on family-friendly beaches. Whichever island you choose to visit, end your day dining on superbly fresh fish and local farm products such as Jersey Royal new potatoes and Guernsey tomatoes. As an added incentive, the Channel Islands have Britain’s sunniest climate.